I have been working with Lee and Gail Kwait for over a year now to put together this eagerly anticipated Jewish heritage mission to Europe. It takes a tremendous amount of effort and time and making connections to pull something like this off and trying to satisfy a divergent group each of whom has different needs and interests is complicated to say the least. But the Kwaits and I led a mission to South Africa recently which was fantastically successful so on request from people who heard about the South African tour we decided to offer this followup. There are several repeat participants on this mission from our last trip. 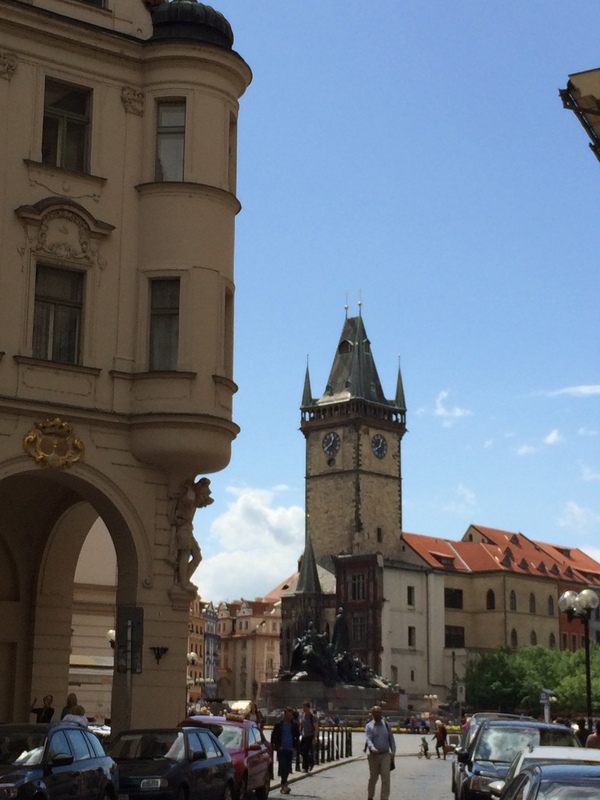 As a fan of architecture and history Prague in the Czech Republic is a dream. Unscathed and not bombed during World War II everything is intact though over 40 years of Communist rule brought some neglect but it’s been restored to its former glory as one of the most beautiful and great cities of the world with intact buildings dating back as much as 800 years. 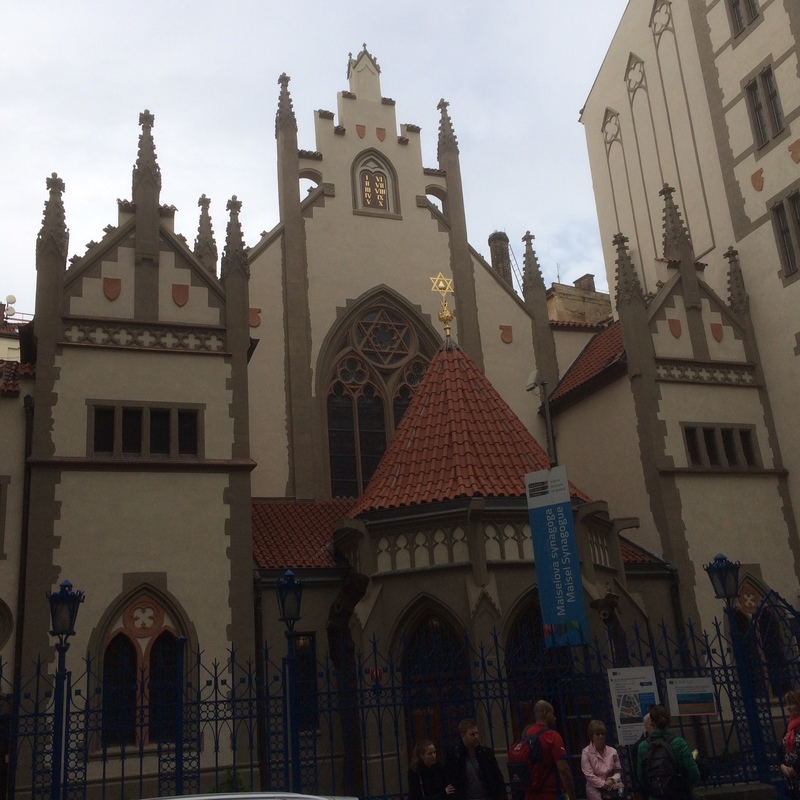 Similarly much of the Jewish heritage is also intact making it a great treasure though the reason is sinister and chilling as the Nazis planned Prague’s Jewish area as ‘The Museum To The Extinct Jewish Race!’ Consequently they have the largest Judaica collection in the world and many magnificent synagogues within close proximity to each other. This is very different to for example Poland particularly Warsaw which was a Jewish community many times larger than Prague (350,000 vs 58000 Jews) and Germany where almost everything was destroyed and obliterated. Although this jarring remark by mother is very realistic I would say that going to any place where our People were concentrated for the eventual purpose of destruction, is an equally sickening and sobering experience. 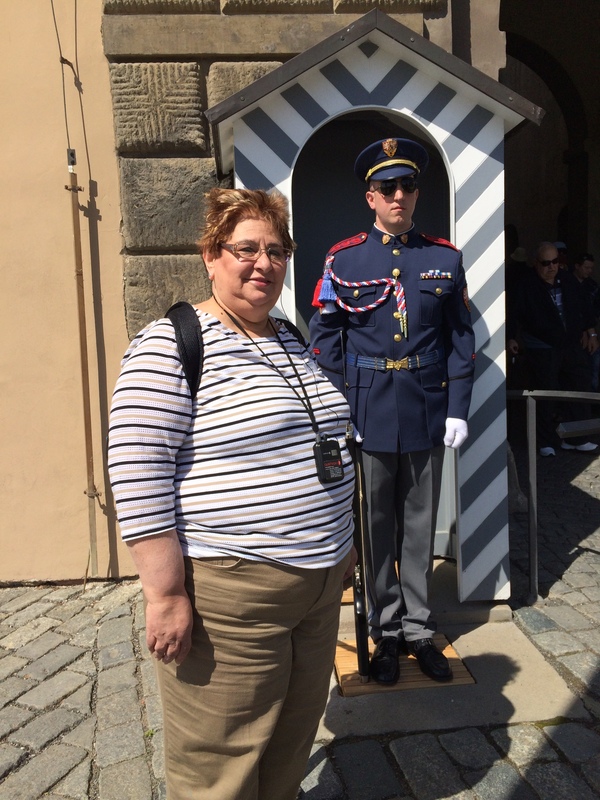 I actually was not planning to go to Terezin and thought I would stay with those of our group who did not want to go and we’d do some fun sightseeing. 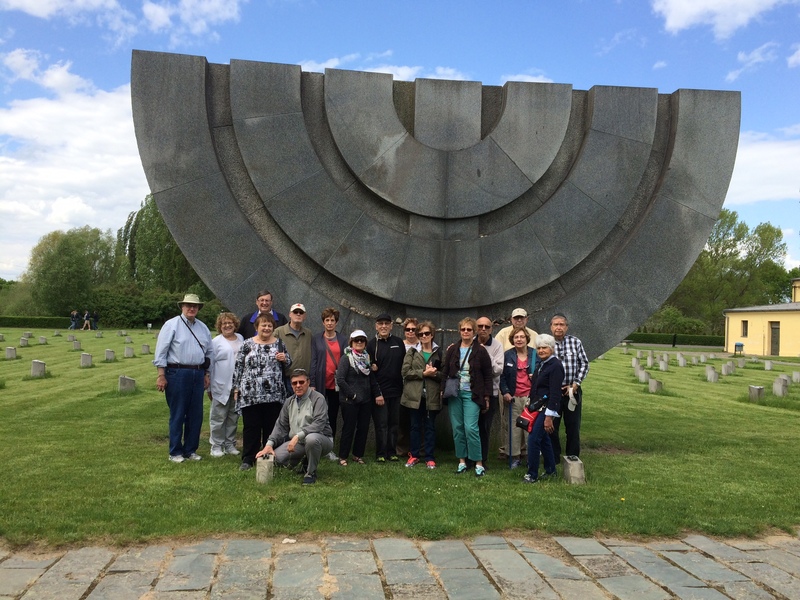 But when 18 of 19 members of our group signed up to go, I wasn’t go to leave them as I am the spiritual leader of our group so I prepared an appropriate service to conclude our visit, as one cannot leave a place like Terezin without some “separation” and spiritual upliftment. 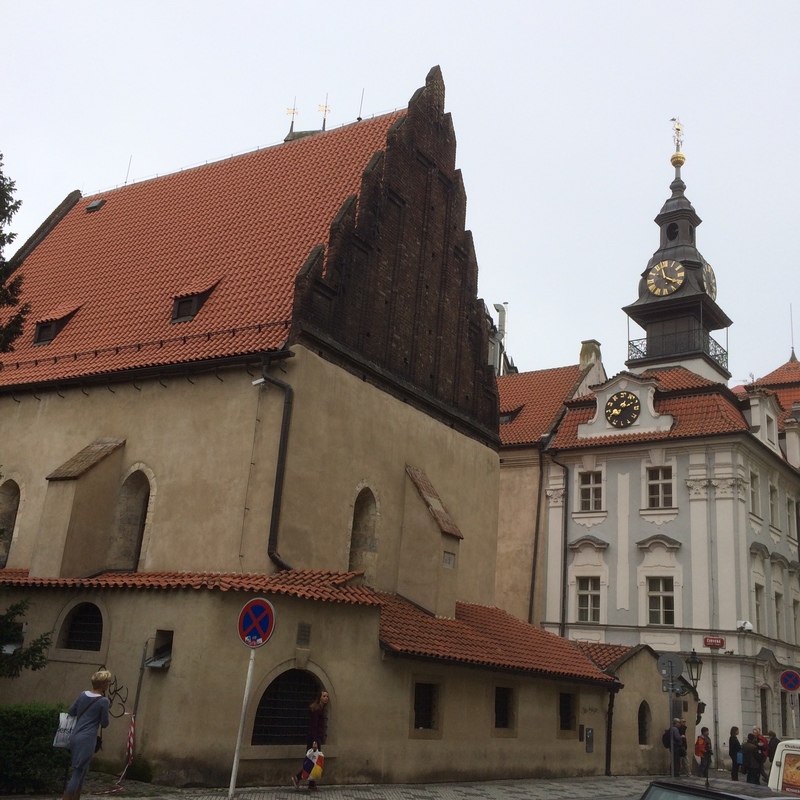 The sick thing about this sad place is that it’s an old Czech fortress town from which the local general population was expelled to create a “holding” place, a temporary transit point for Jews from the area till its inmates could be transferred to their next “destination” often Auschwitz or other such places, most resulting in death. I will not report any more on this visit except to say that after 5 grueling hours there, the climax occurred at the end. 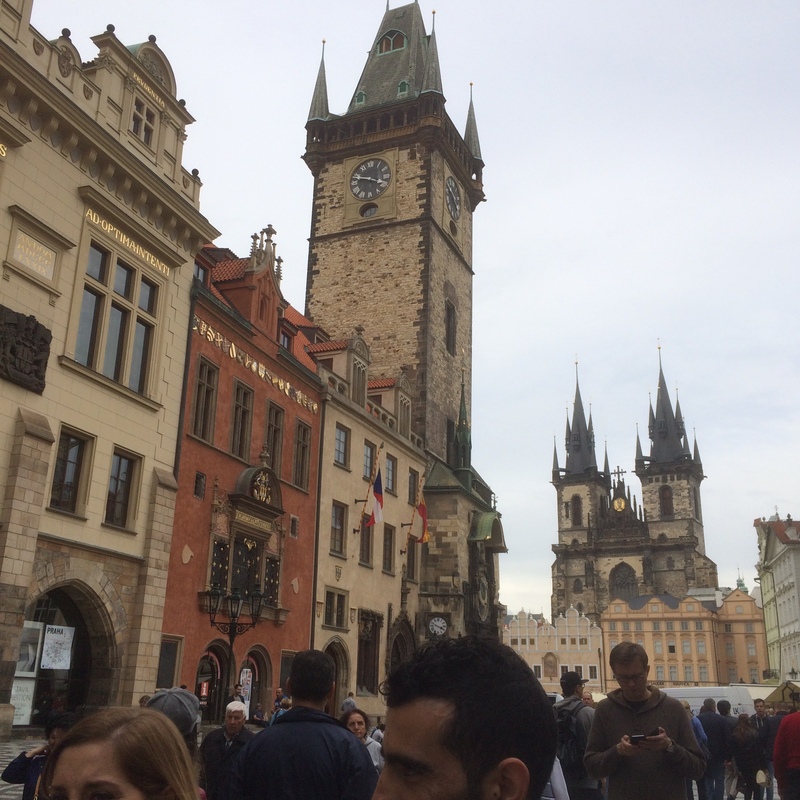 This was due to careful planning by our excellent guide Luba, a young Jew from the Ukraine who heads Precious Legacy Tours, and myself. I asked her for an appropriate place where we could do our short ceremony I planned for the conclusion and she said she had the perfect place. 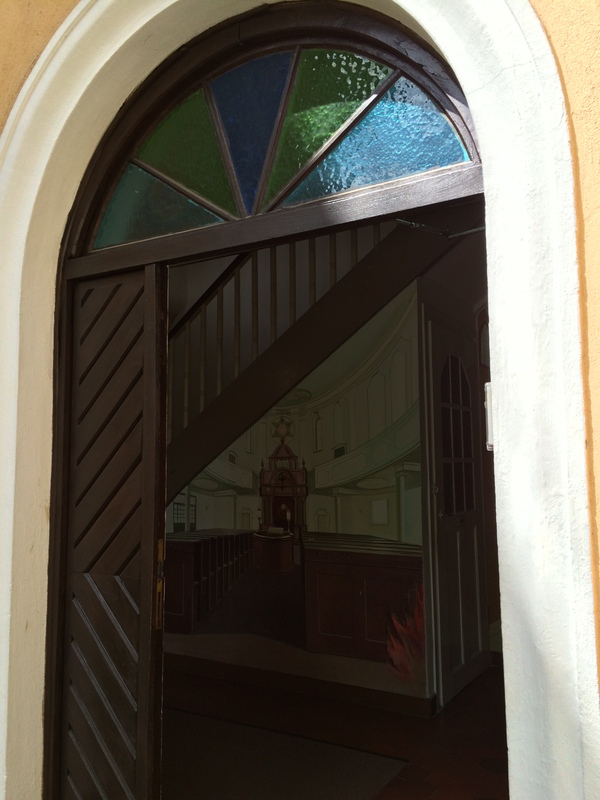 About 20 years ago a tiny hidden secret synagogue was found there with beautiful painted biblical quotes of inspiration such as beseeching God to hear our prayers, and Stars of David painted on the walls. It was a secret shul. 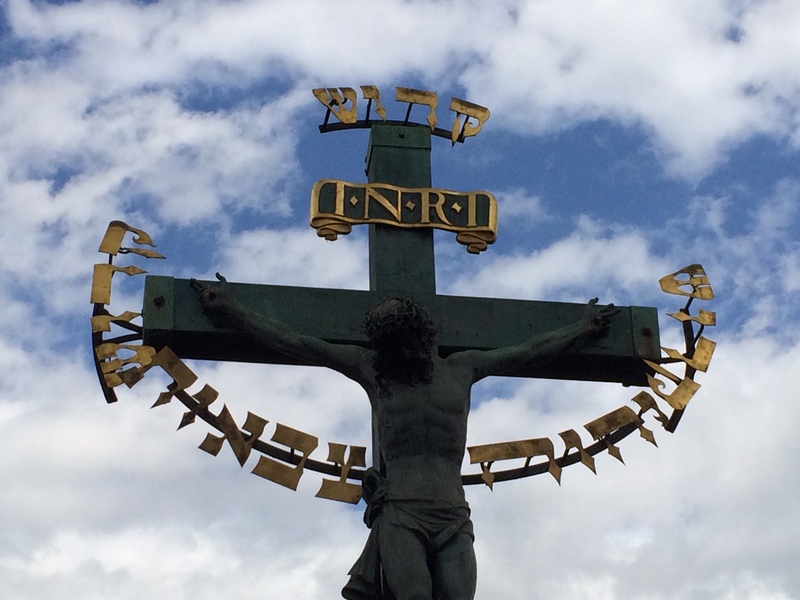 So we did our readings and chants there including Kaddish, poems by the children of Terezin, and concluding with Hatikvah. I was impressed everyone remembered to bring the service I had Includes in the packs each person had received from me for the trip with all kinds of pertinent materials and articles on all the places on our itinerary etc. PS we have just crossed the border by bus from the Czech Republic into Germany as I write this!! 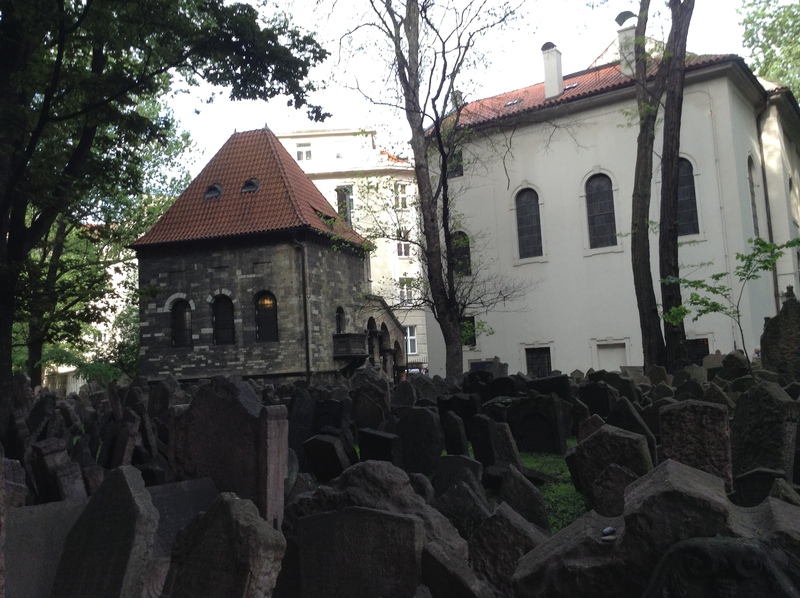 Concentrated in one small area of Prague where the Jewish ghetto once was, are an ancient Jewish cemetery as well as 6 impressive synagogues and a beautiful building of the Chevrah Kadisha – the Jewish Burial Society which played a vital social services and Tsedaka role in the community. In addition a little further away is the magnificent Jerusalem Synagogue which was not on our tour as its too far but I went there in the morning during free time and am sure glad as its magnificent. It is still in use as are several others although the community is tiny compared to pre-war, a few 1000. Described in local literature as ‘the most beautiful synagogue in Europe’ is the Spanish Synagogue so called because of its magnificent Moorish architecture. 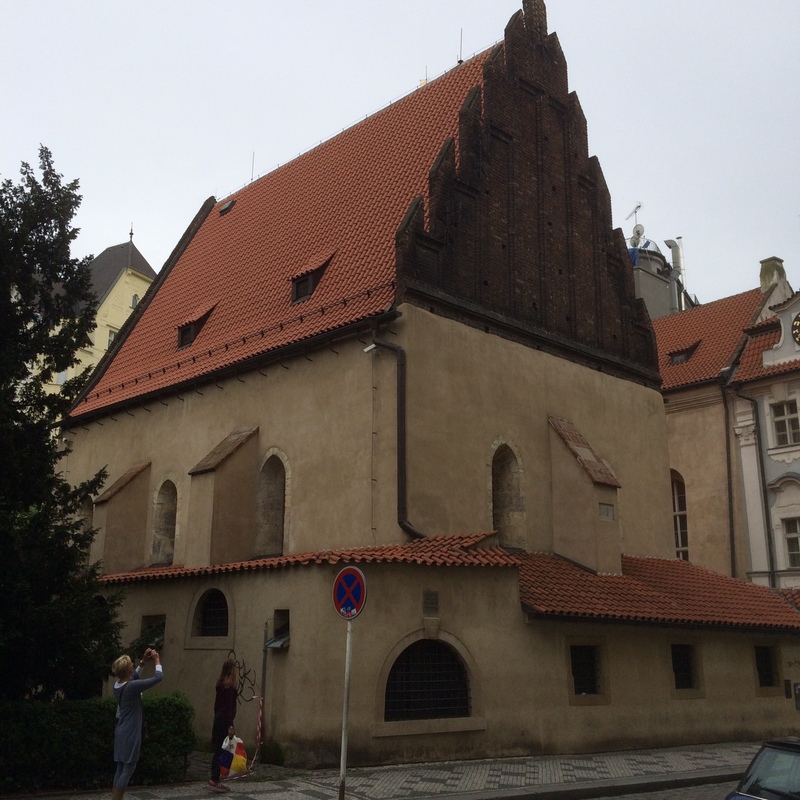 It is very reminiscent of Florence Italy’s synagogue though much smaller but both rank amongst the most beautiful in the world without question. We took lots of photos outside too by the weird statue of Franzen Kafka, the famed Jewish writer about whom Prague jokes ‘everyone’s heard of him no one has read him.’ This saying we learnt from our tour guide from Precious Legacy Tours Luba who was outstanding and deserves special mention as having a good make makes a huge difference on tour. 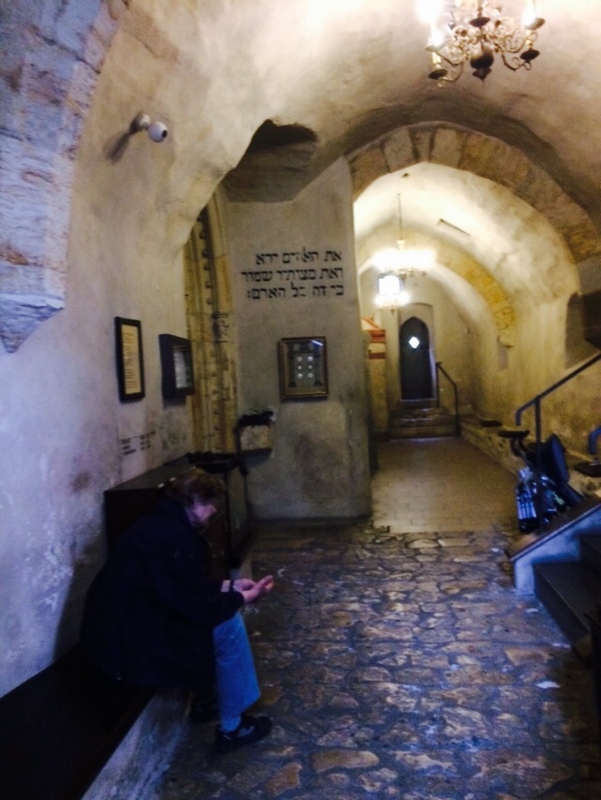 Also awe inspiring is the Alt-Neu Shul, the oldest in the world in constant use (except during the Second World War) dating from 1270, yes just imagine standing in this holy space where over 750 years our People have continuously davened to Hashem!! 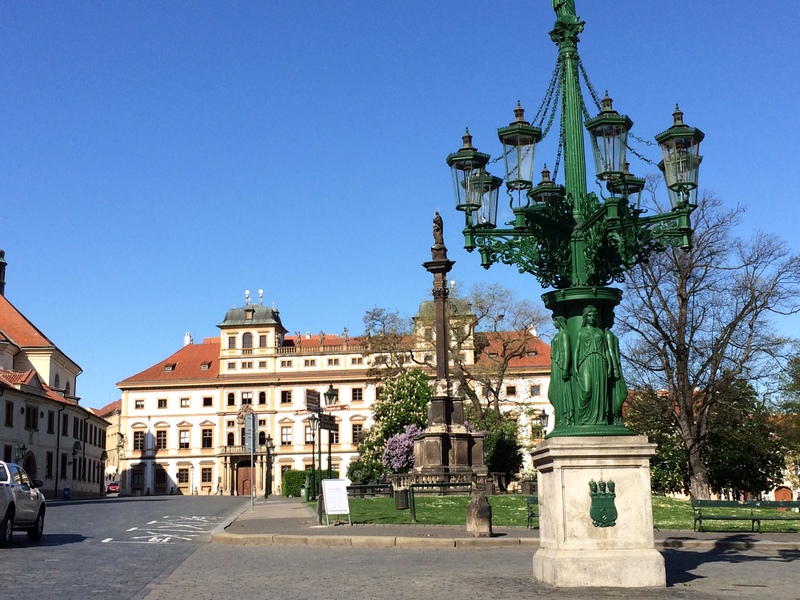 By the ark is the 400 year old seat of the great legendary saintly tsadik Rabbi Judah Loew known as The Maharal, So integral is he to Prague history that a statue attributed to him stands in front of city hall. 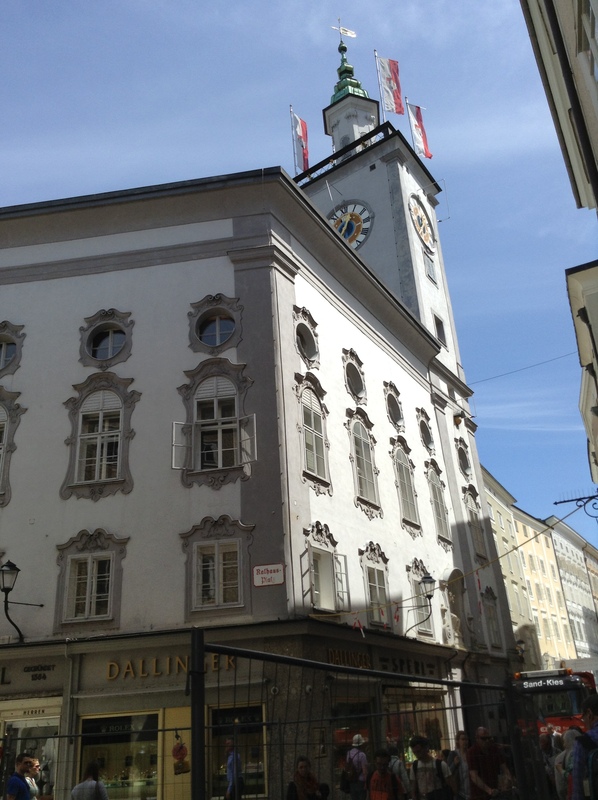 Next to the Altneu Shul is the Jewish town hall with its famous Hebrew clock. 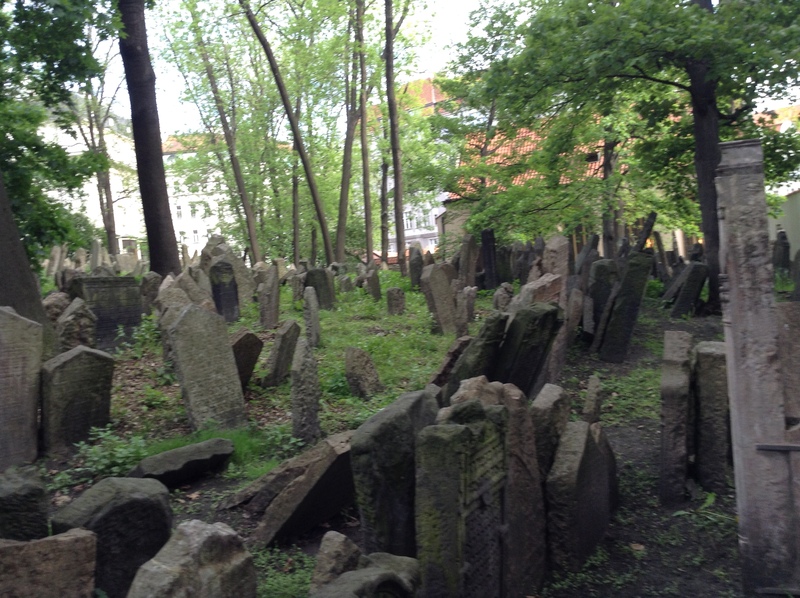 The cemetery close by has 1000s of graves on top of each other as they ran out of room, including the Maharal’s grave. We concluded our Jewish experience here with an amazing coincidental climax by returning to the Spanish Shul for Friday night service followed by kosher shabbat dinner at the Solomon Restaurant. We had no idea what to expect at the service ~ I had contacted them and they said they were expecting 1 other group but when we arrived there weren’t many seats. I asked if they could bring out more and they said they thought it would be enough as at that point there were some 50 people which was all they were expecting but the crowd just kept growing with mostly young people and growing till there were some 150 or so packed in and they ran out of chairs and siddurim. We started 20 minutes late. It was a typical Conservative service very similar to Reform so our group were familiar with and able to follow the service and sing along and men and women sat together. I introduced my group to the service leader who was a regular congregant from Ukraine (I don’t know if they have a Rabbi or Hazzan) and he asked me to sing the various Kaddish prayers which I was glad to oblige as singing there is a hugely emotional experience and honor. 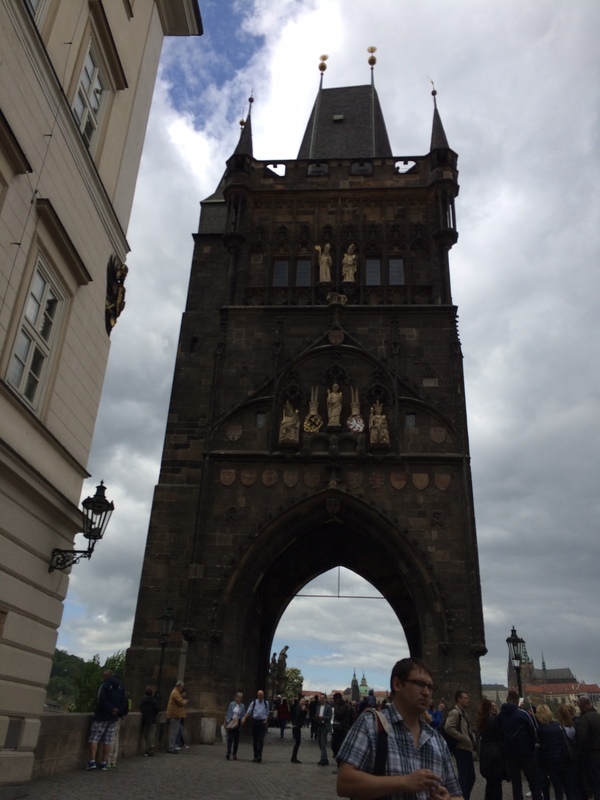 The acoustics were fantastic and I could hear my voice reverberating off the arches of the magnificent structure. When the leader asked people where they were from we were happily amazed to find some young Jews knowledgeable of the service singing at the tops of their voices filling this great Shul with davening from all over Eastern Europe including Warsaw Poland where my family is from, Rumania etc. Keeping the flame of Judaism alive in these places where it almost disappeared is a real kiddush Hashem – a sanctification of God’s name. What a contrast to the ghostly walls of the bare Pinkas Shul we had beheld a mere hour before..the young people’s voices still ringing in my ears Lecha Dodi – Come my beloved…let us greet the shabbat queen…and these young people live where? In Israel? No! In America? No! 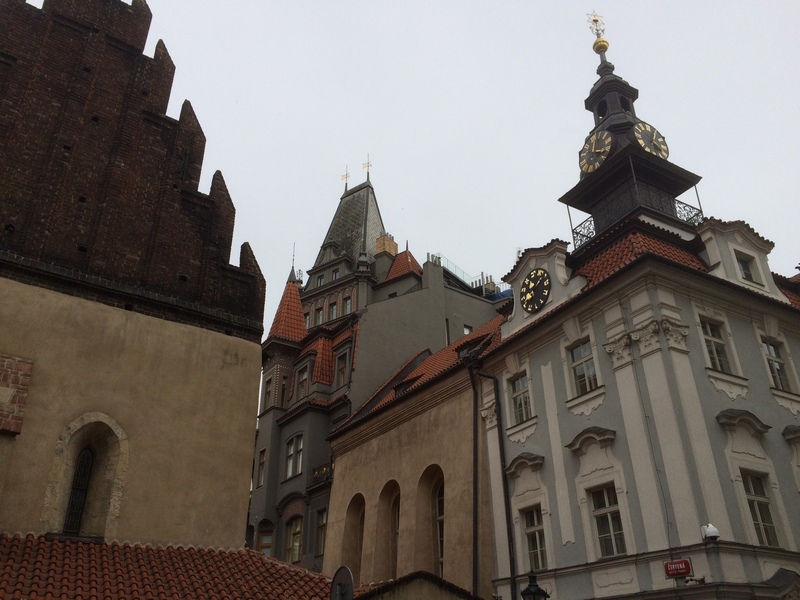 In Poland, in Rumania, Hungary, Czech…Ezekiel’s dry bones coming to life vision! Dinner at the Solomon was delicious – traditional Jewish chicken soup, beef over cholent etc but more inviting than heimishe cousine was joining with the group next to us of French Jews as we sang together with great ruach zemirot and Israeli songs and I grabbed one of them & we danced ecstatically at the joy of bringing together Jews with from all over the world in this great place once called by some ‘the museum of the extinct Jewish race…!! 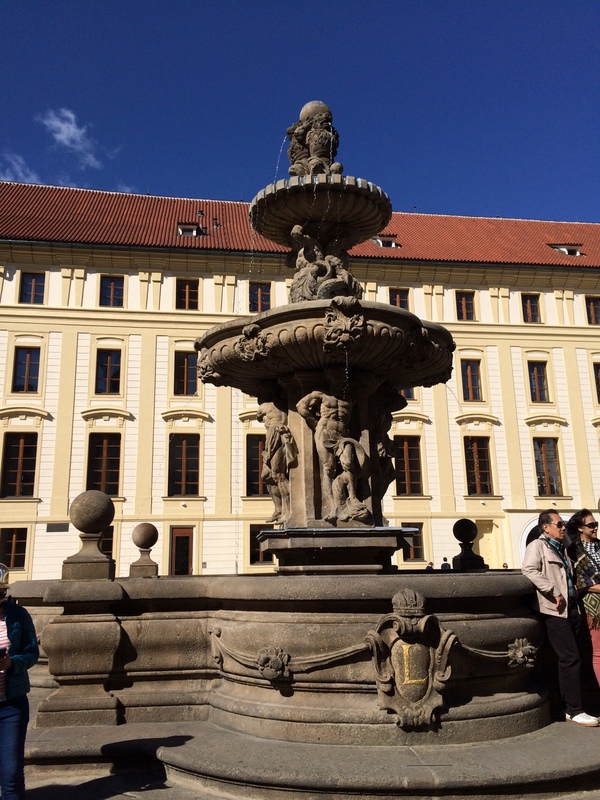 First stop here was Regensburg, a beautiful historical college town well preserved of centuries of history dating back to Rome. I only felt it worthwhile to do these countries so associated with Jewish suffering if we were going to do experience something positively Jewish so I set out during free time to find the Shul which I did with no problem, bumping into Joanne Rubin and Leah Connor exploring the town, whom I took along to find the Shul that was nearby. It was locked of course, no security. There were 4 call buttons on the gate. I pressed them continually never being one to give up quickly. As Joanne and Leah began to leave a woman’s voice answered. I identified ourselves and our mission and soon the front door opened and a custodian opened for us. 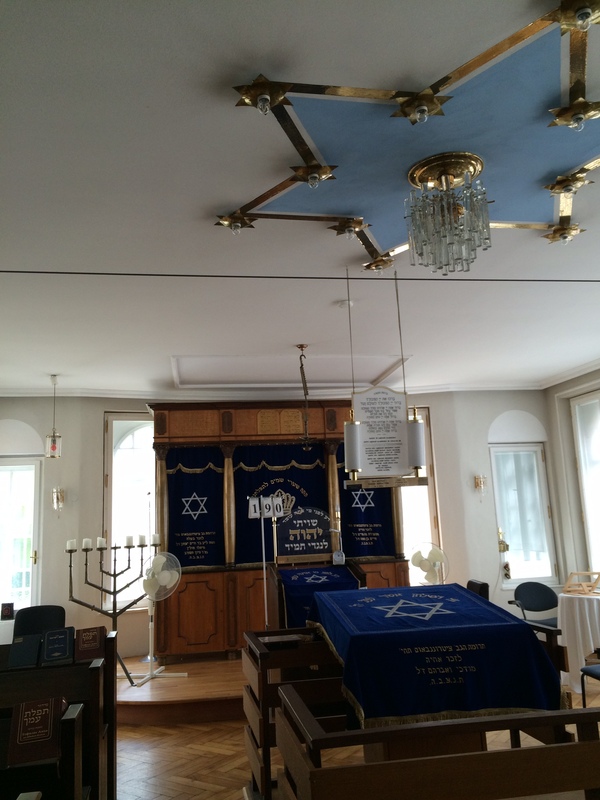 We explored the whole Jewish center and took photos. 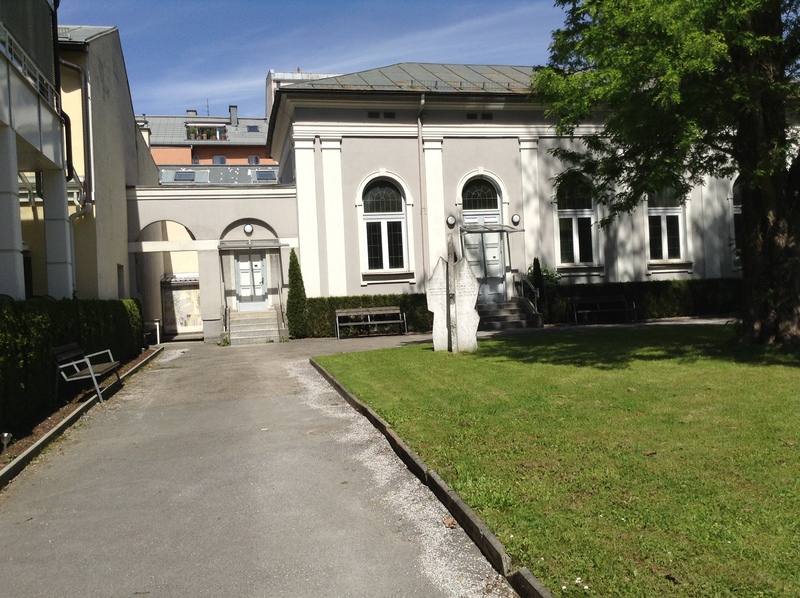 It is in the building that before the War housed the community offices. 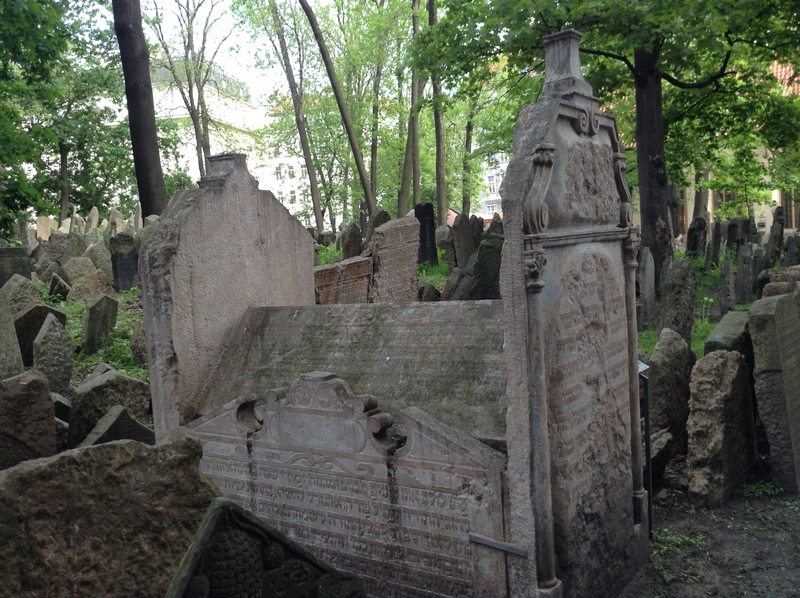 This survived though the Shul part of the complex burnt down on Kristalnacht. 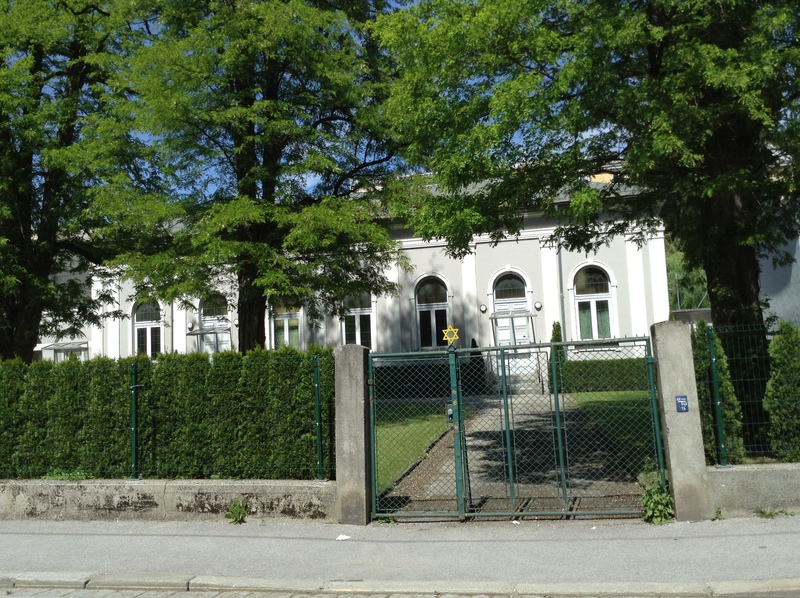 There is a new center which they are going to enlarge as it is too small to accommodate the reemergent community now numbering 1000 with the influx of Russian Jews as all over Germany. 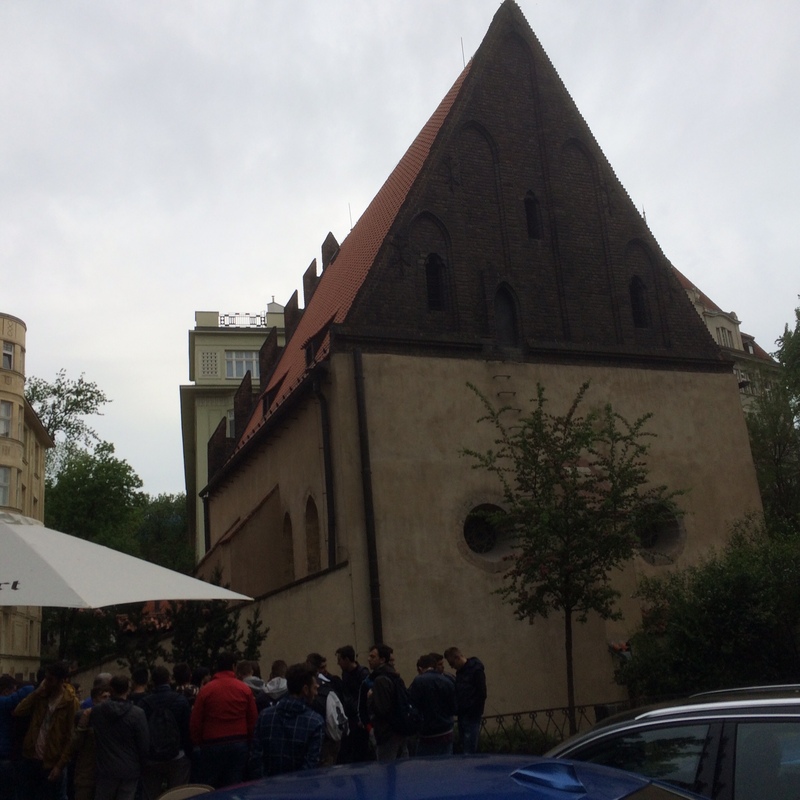 Later as our whole group toured the town, we saw 2 sights of Jewish interest – Oskar Schindler’s home and a Holocaust memorial on the sight of a former ancient synagogue which was revealed recently through excavations. The memorial is by an Israeli sculptor and in the place where the ark stood is a stone with the Hebrew word mizrach – meaning ‘east’ carved, symbolizing the direction of Jerusalem but also meaning to shine as in light shining, the intent being for people to dwell in harmony. 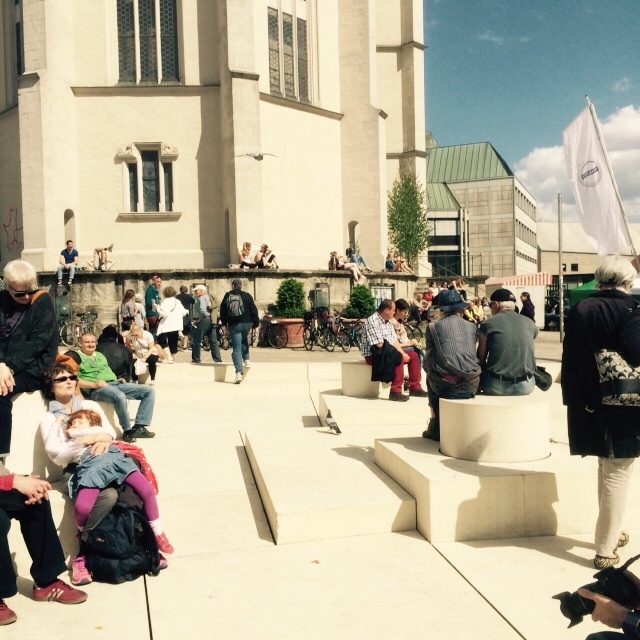 It was Sunday, the weather was perfect and the memorial was filled with many young people relaxing and enjoying the bright sunshine…I wonder if they grasp the significance of that once holy place or the word mizrach?. 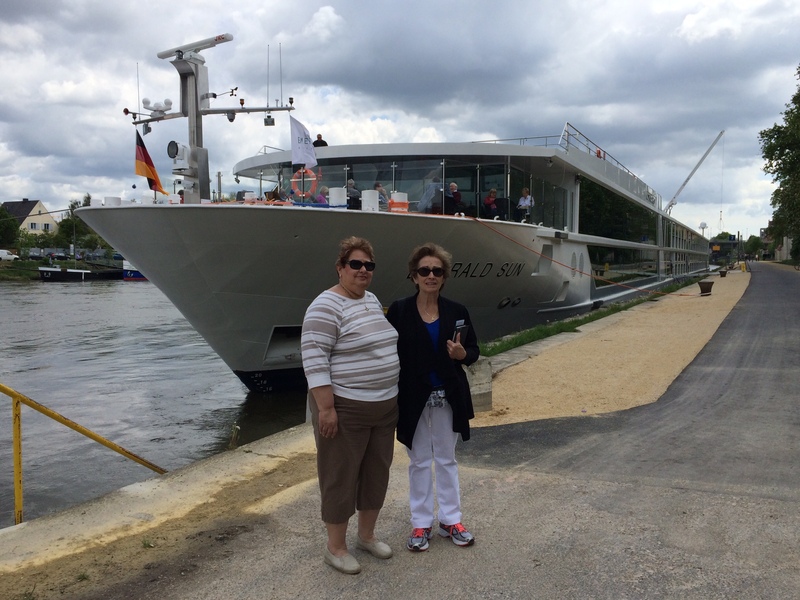 When I told our group about the Shul some wanted to see it so I took them before retiring to the boat to depart Regensburg. 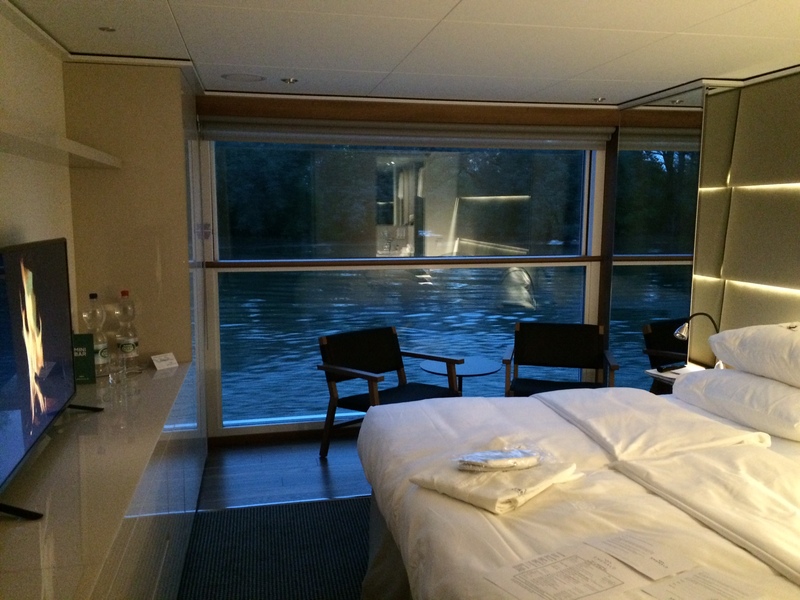 Second small world coincidence – the manager of our boat which by the way is gorgeous, brand new one month old – is a Hungarian who spent 14 years in Cape Town and married a South African and lived about 12 blocks from my mother in a city of 4 million! Shouldn’t be a problem – I am religious and I know ritual, right? like they’re going to run out of food? the line extends beyond that too. Tomorrow morning there will be breakfast, won’t there? 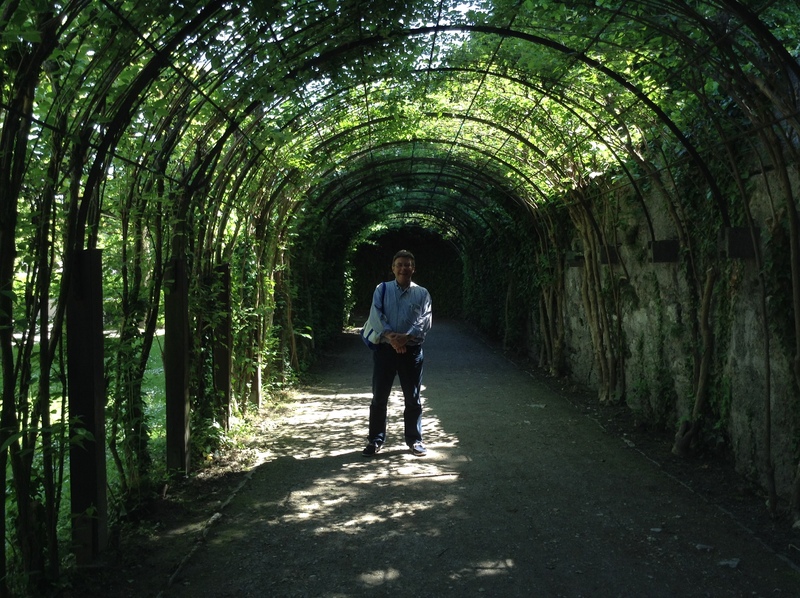 Vienna is an incredible city! I think it would be appropriate to say though, that it has lost its heart as a result of the events of the Holocaust. Before World War II, almost 10 percent of Vienna was Jewish, approximately 180,000 Jews: half of the doctors were Jewish, three-quarters of the banks, two-thirds of the movie houses, 85 percent of the lawyers, and 100 percent of the scrap metal dealers just for example. 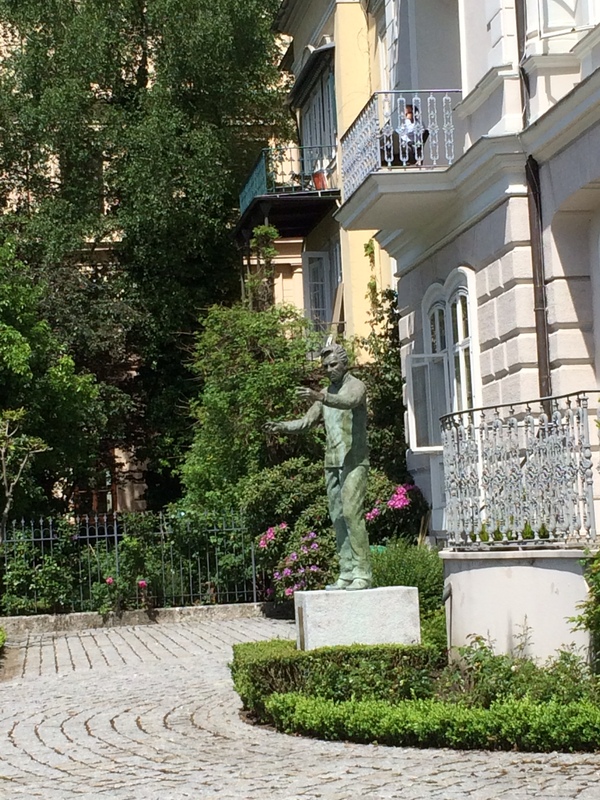 Many famous Jews came from or were active in Vienna, like Theodore Herzel, author Stefan Zweig, Sigmund Freud, Arnold Schonberg, Johann Strauss, Josef Schmidt[famous tenor/my father visited him in his home in Vienna in 1938 together with Cantor Moshe Koussevitsky] and Gustav Mahler. 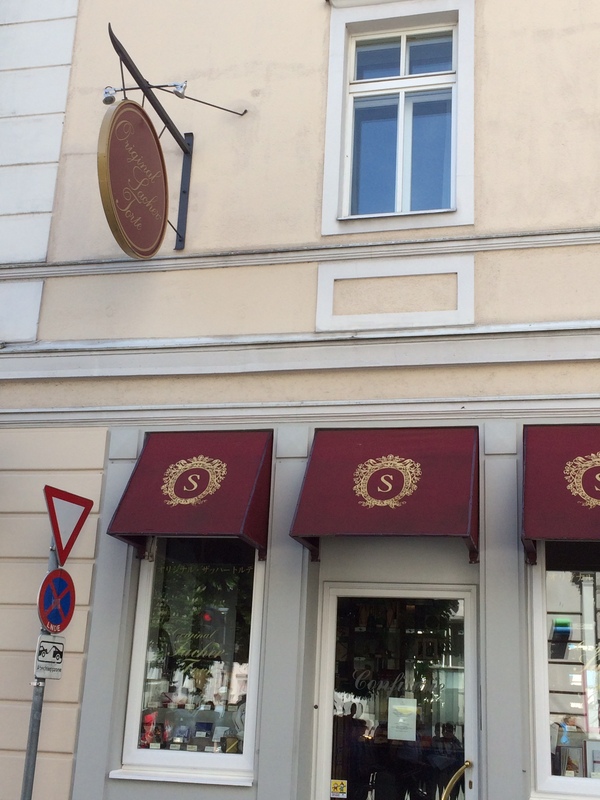 Jews made an extraordinary contribution to Vienna’s cultural and intellectual life. 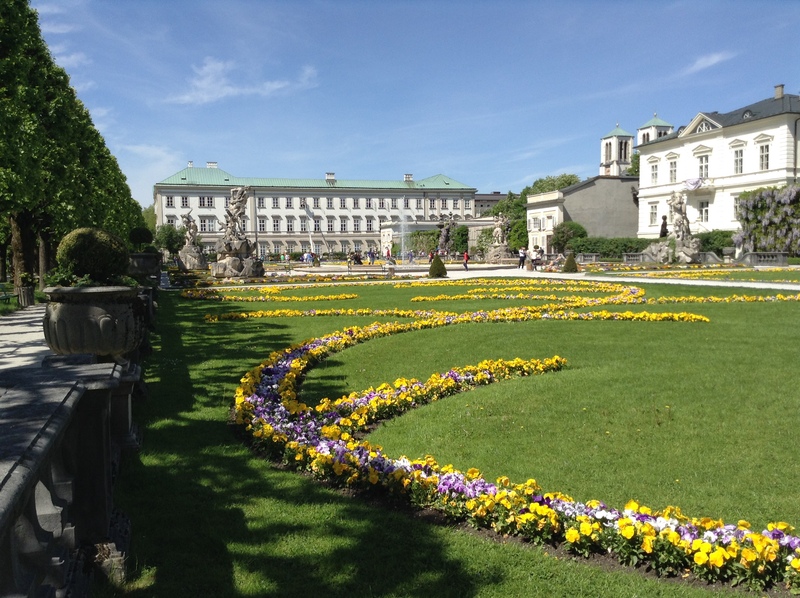 The Jewish writer Sweig said that 90 percent of what Viennese are proud of, is attributable to Jews. Today, there is a strong resurgence, perhaps as many as 20,000 Jews with more than 10 synagogues. 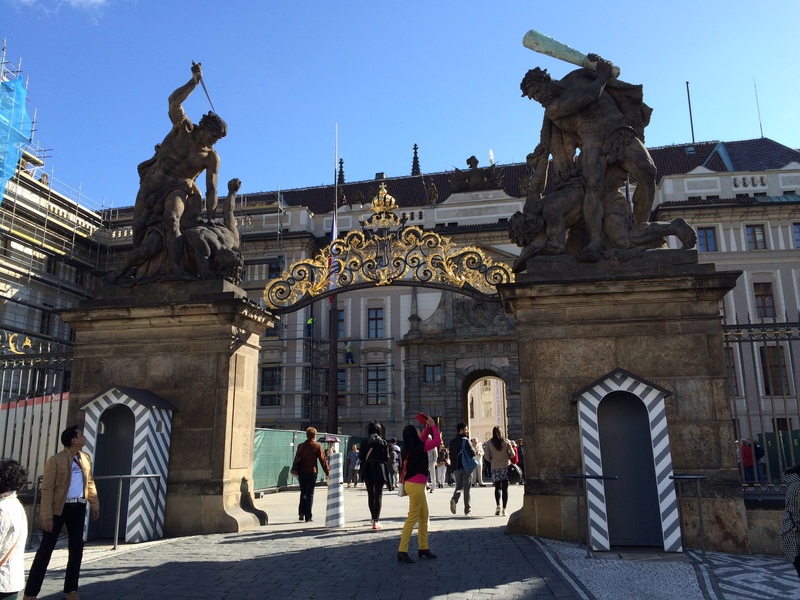 Our bus entered the Ringstrasse, which incorporates within it many of Vienna’s famous and historical buildings. 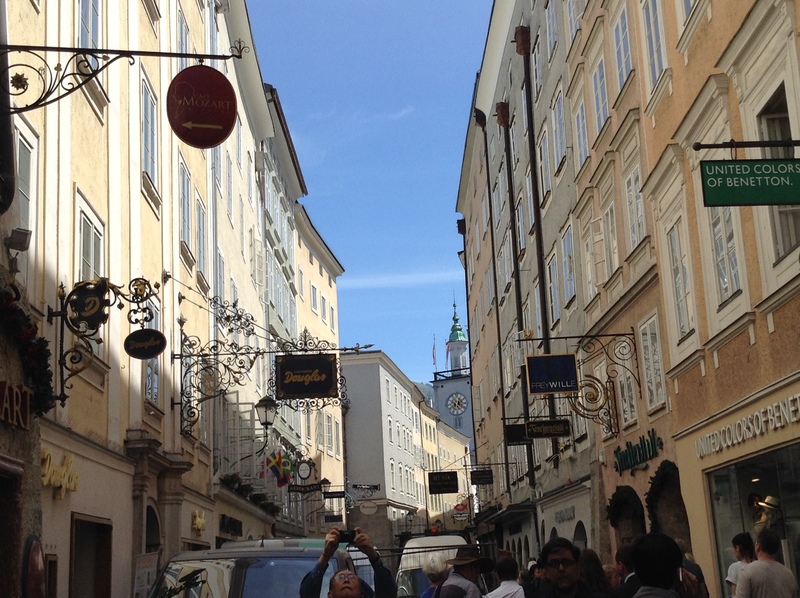 Before the war, many Jews lived on the Ringstrasse. 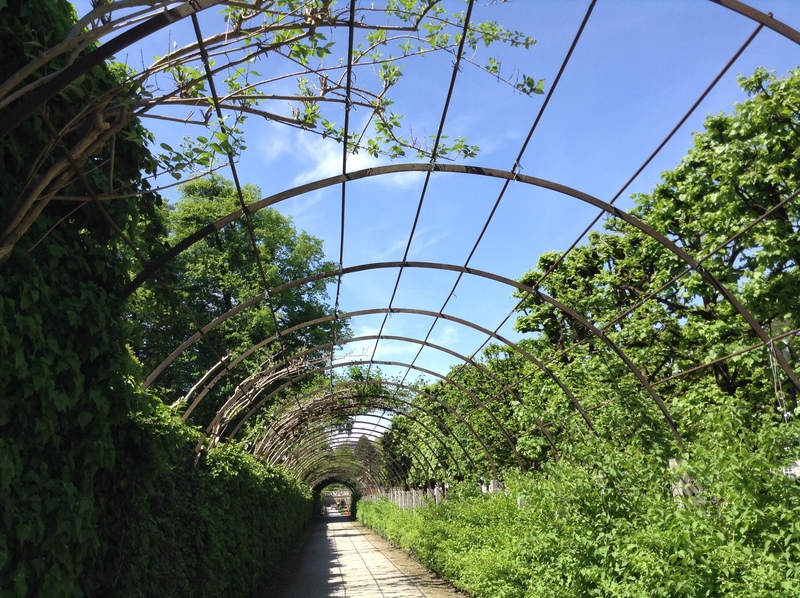 In fact, there is currently an exhibit at the Jewish Museum in Vienna called Ringstrasse-A Jewish Boulevard. We passed the magnificent opera house, to which I went back later in the day during our free time, but unfortunately, I missed the tours. 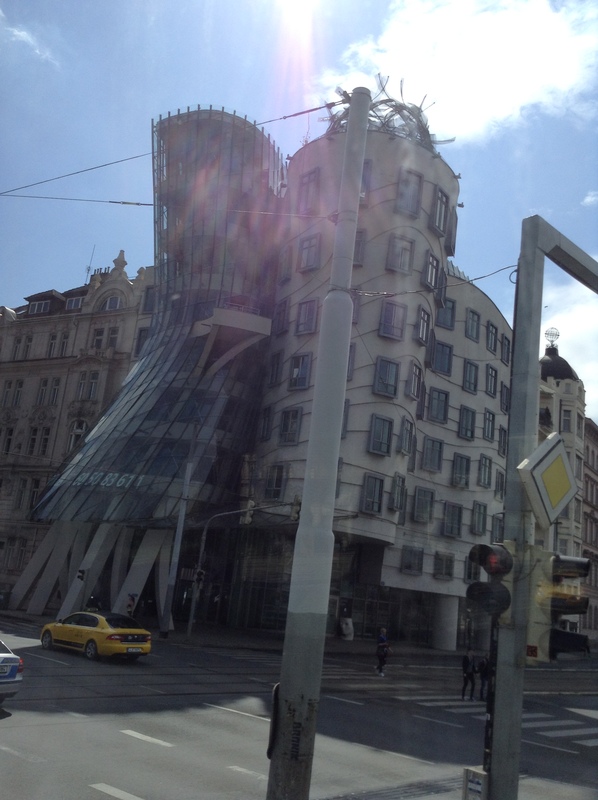 I was in awe of the many magnificent buildings that we saw. I am a postcard collector, and although I am a good photographer, I still collect postcards of significant architectural. I bought several dozen postcards of magnificent Viennese buildings, which I a gleefully adding to my collection as prized acquisitions. 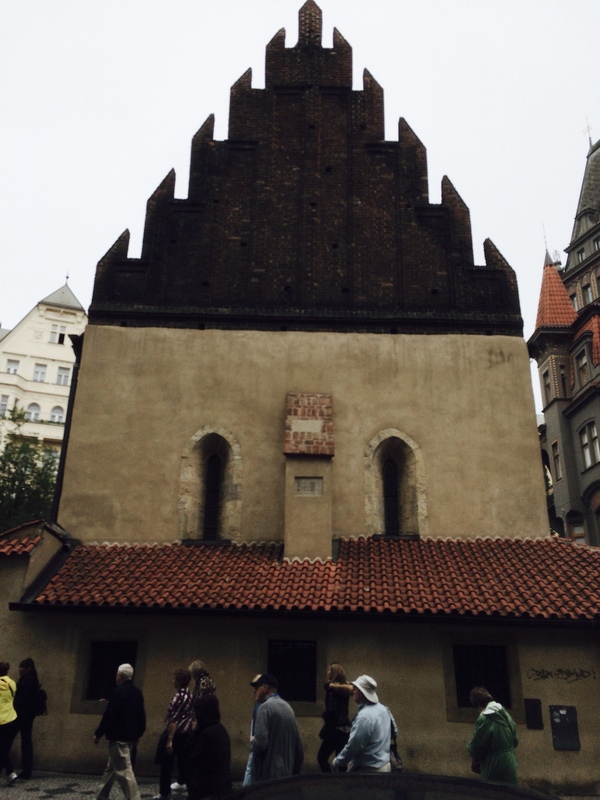 We visited the one remaining synagogue from the pre-Holocaust period- the almost two-hundred year old orthodox Seitenstettengasse Temple. It is beautiful, round, with two galleries for women. The roof is painted blue like the sky with stars, giving it an awry and eternal sense. 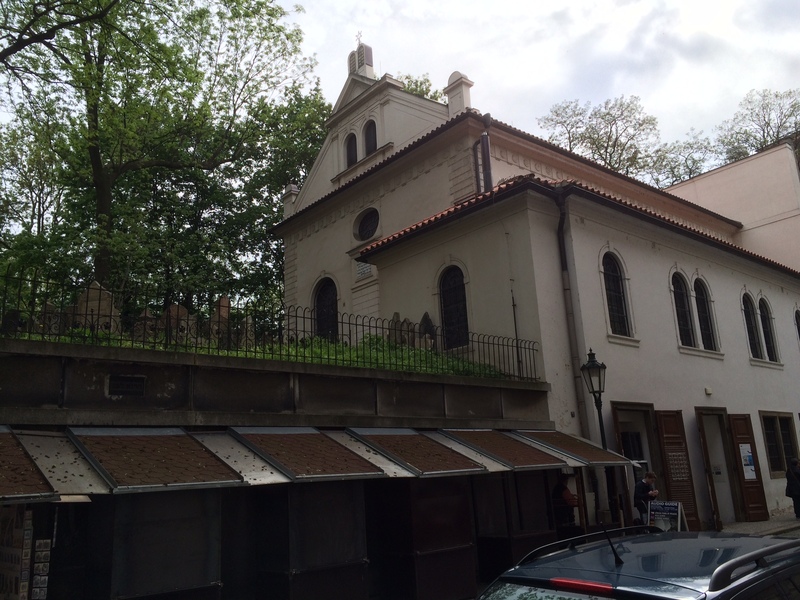 For me, this synagogue filled me with a sense of awe: it is where one of the greatest cantors of all time served for 56 years- Salamon Sulzer, much of whose music influenced heavily the Ashkenazi synagogue. I stood with awe at the Bima, where Sulzer helped shape synagogue music for half a century and where today, I am glad to report the style of services led by their Israeli Hazzan, choir and Rabbi, helping to perpetuate this grand tradition. The are three major Jewish landmarks besides the synagogue that I visited: In the Juadenpaltz is a stock Holocaust memorial in the shape of books of a library that have been turned inside out. 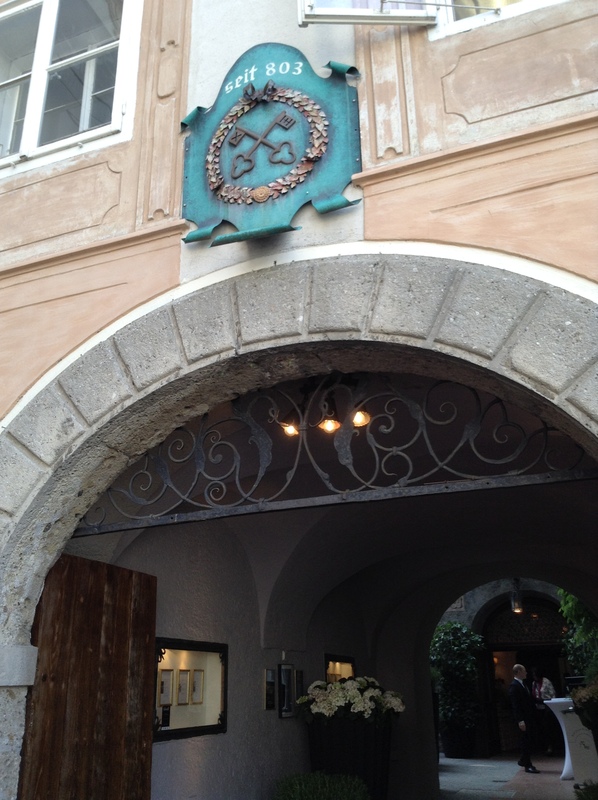 Behind this memorial is one of two Jewish museums in Vienna. I visited both. 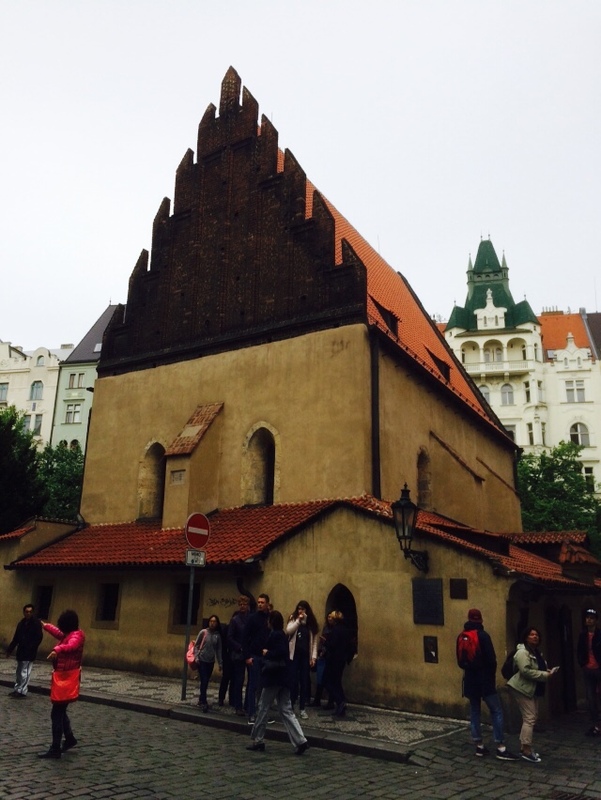 In this museum, underground, there are excavations of an ancient synagogue that once stood in this Jewish area. At the other Jewish museum, among many interesting artifacts, is Theodore Herzel’s bicycle. Having gotten tired of pasta and grilled salmon on our boat nightly, I decided to skip boat dinner and go to a nearby Israeli-style Viennese restaurant called Bahur-Tov, which means in Hebrew “good boy”. I had a nice chat with owner who is from Eastern Russia, but spent a lot of time in Israel. I ordered Schnitzel. I must say, it was possibly the best I have ever had in recent memory- certainly the largest- the portion was massive. As the owner brought me my order, he said “I doubt you will be able to finish this”. He also pilled on as many french fries as would fit without falling off the side of the plate. It was also garnished with salad. I did not see any point in leaving half of it when I was already full and taking the rest to go for the boat. What would I do with it then? Eat it cold? So I finished it. It was worth it! 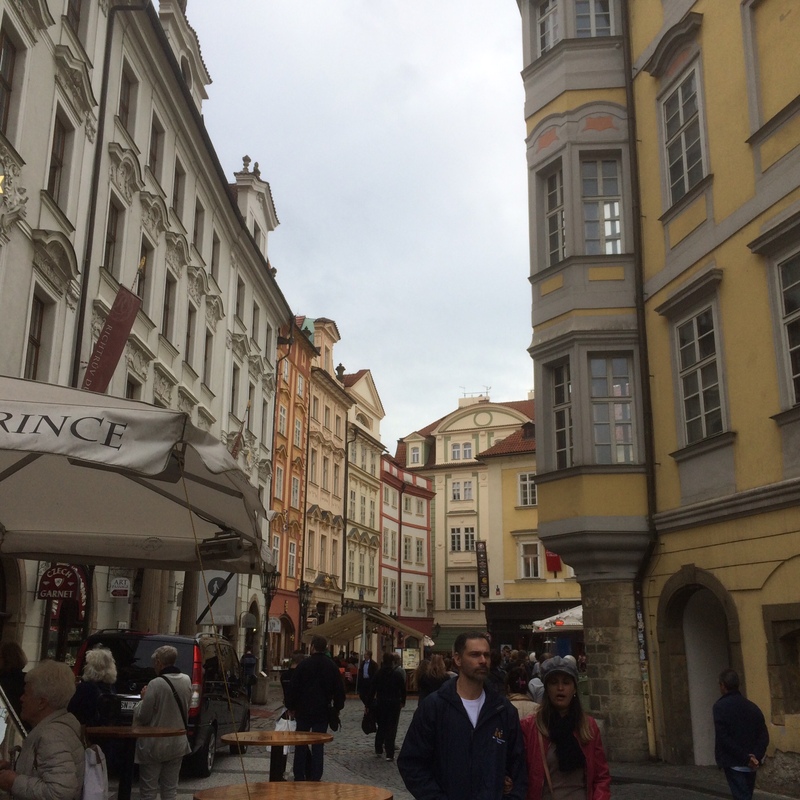 This city, also known as Pressburg, has always been of interest to me, ever since I was a young lad. One of the Rabbis who served with my father in his synagogue in Cape Town, Eugene Duschinsky, one of the most impressive Rabbis I have ever met- brilliant erudite, intellectual, learnered in Talmud and seemingly everything else, had studied at the famous Yeshiva of Pressburg to which Rabbinic students all over the world used to flock before the War. The buildings that housed the Yeshiva are no longer standing. 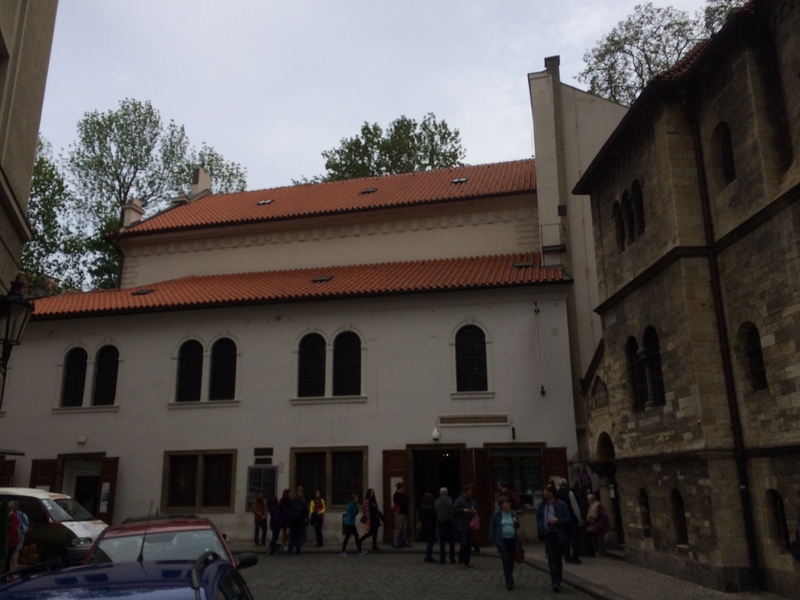 We visited the one remaining synagogue, which has upstairs in the women’s balcony a museum almost single handedly created by an impressive young man, Dr. Maros Borsky who has great passion for his community. 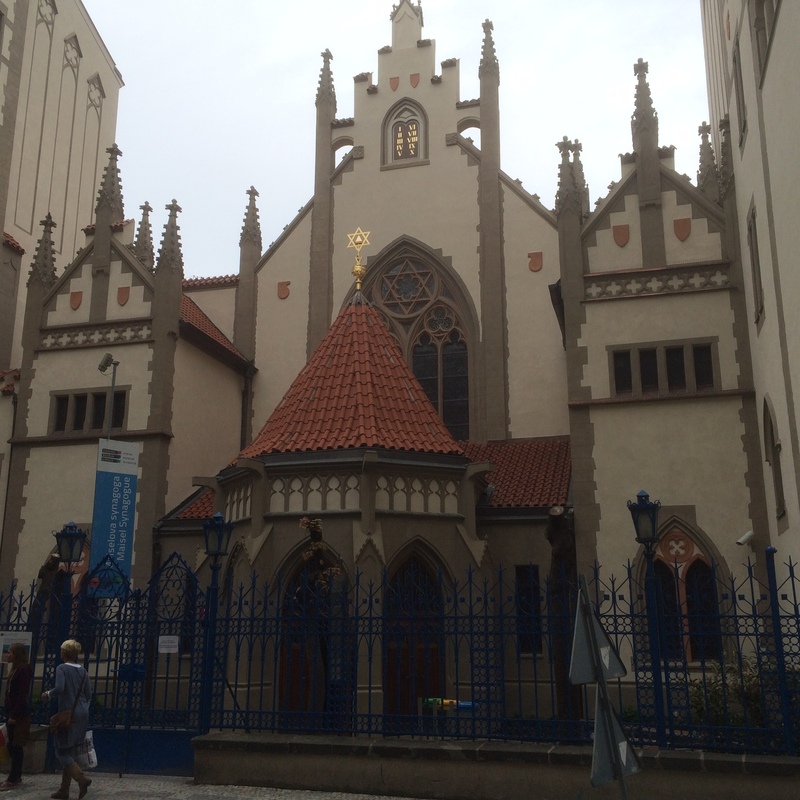 The synagogue is well maintained, but not used during the winter months, as it is too expensive and too large. It actually officially opens after the date of our visit, but Dr. Borsky kindly obliged us by opening up and spending a huge amount of time with us. 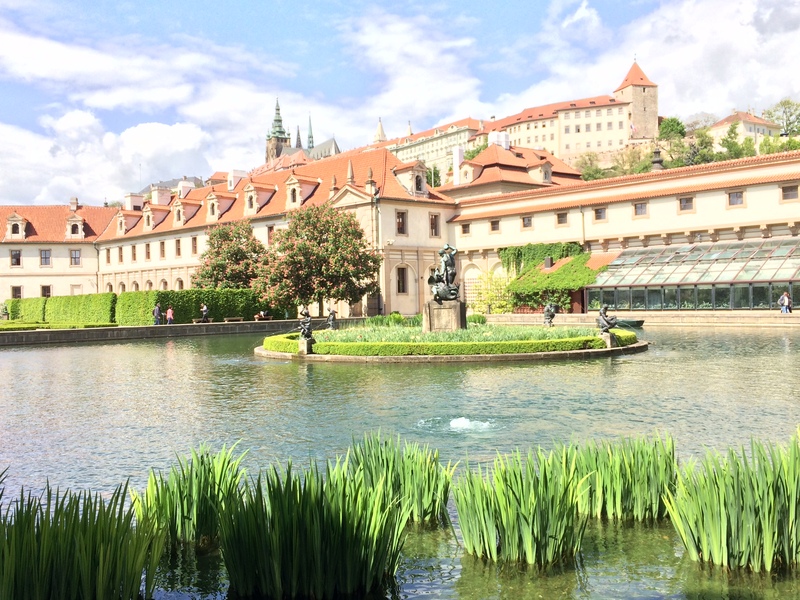 Later that day, our cruise had arranged home hospitality with Slovakians in the area. 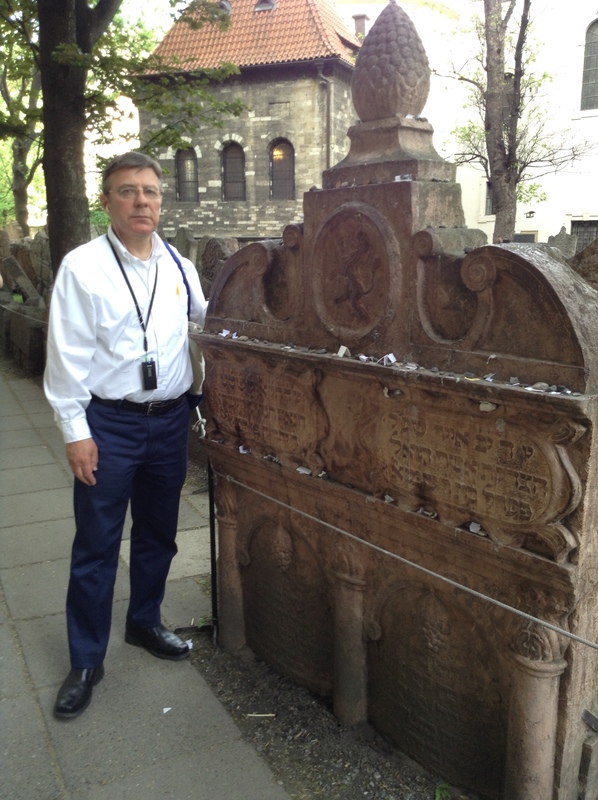 I opted instead to visit one of Jewish Europes most famous landmarks- the burial site and remnant of an ancient Jewish cemetery, which contains the sanitarian tomb of the great Rabbi Moshe Schrbier, known as the Chatam Sofer. 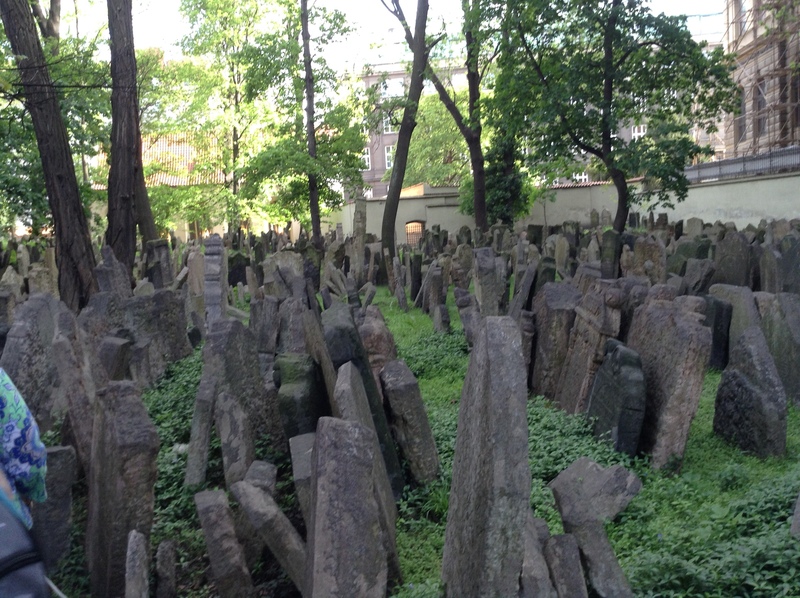 It is remarkable how this enclosed cemetery was created during the communist era with the help of large donations from Jews in New York and other places. 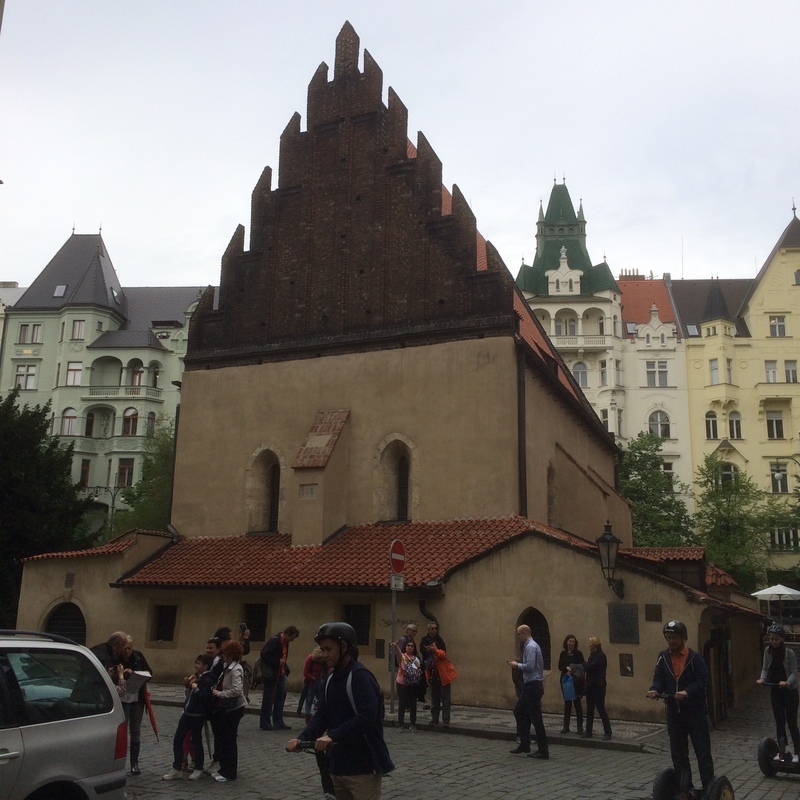 It was done as a result of urban renewal, and was necessary to preserve this deteriorating Jewish site. Architects and engineers from all over the world come to see this impressive preservation site. 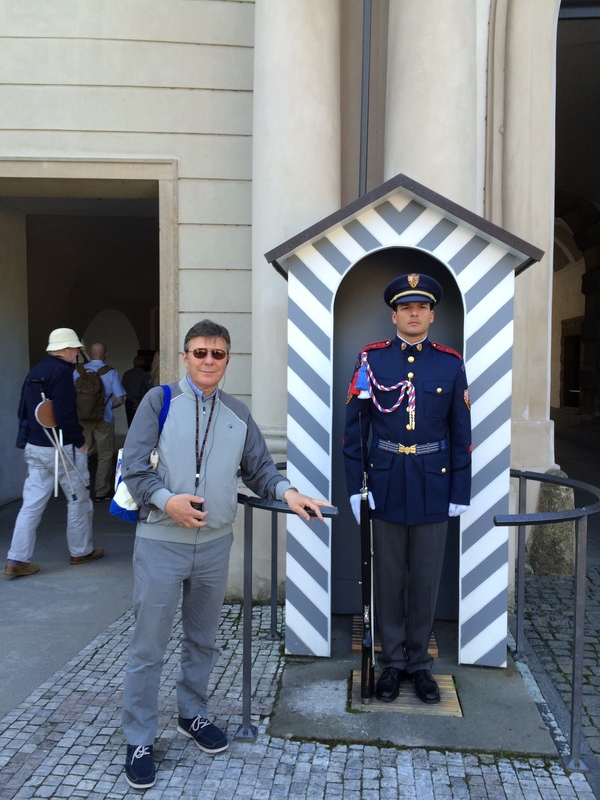 The Jewish community employs a full-time person who oversees the cemetery and opens up for visitors and pilgrims. Dr. Borsky arranged for my visit, and within a 15 minute, simple, short, ten dollar taxi ride, I was there. Since it is very near the Denube embankment, I took a brisk walk along the water back to our boat which was conveniently docked a mere twenty minutes away. 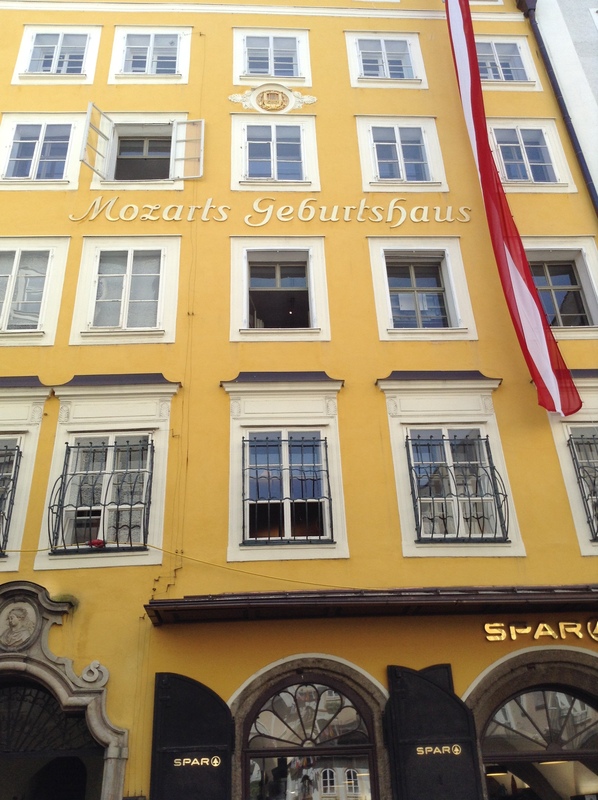 Ever since I was a child and was raised with a deep appreciation for classical music, I became aware of Mozart. 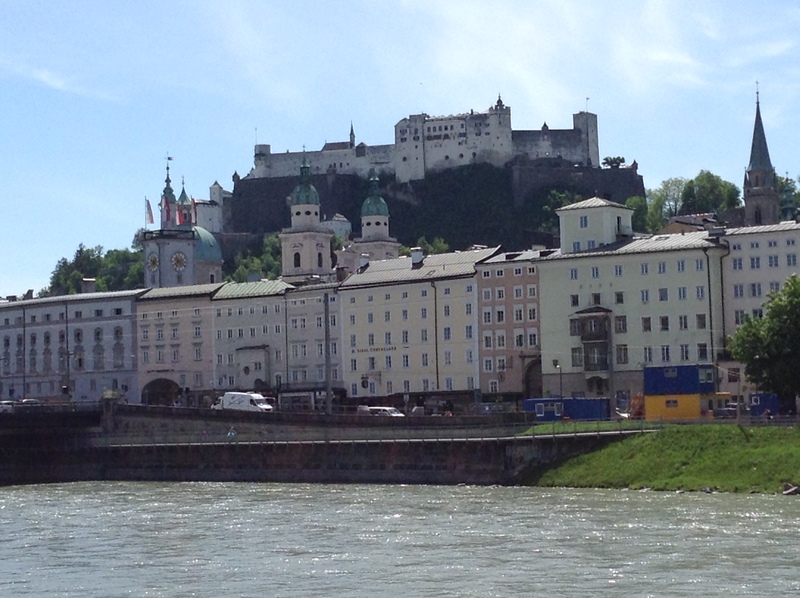 Therefore, Salzburg was always on my consciousness as the city most associated with Mozart. So when our tour offered the opportunity as an add-on, I was first online to sign up. 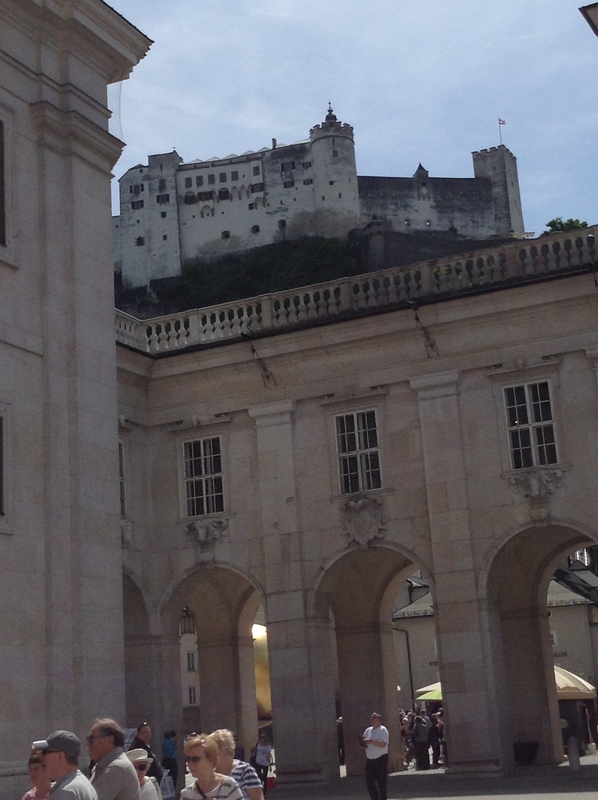 Of course, Salzburg is also associated with the Sound of Music. 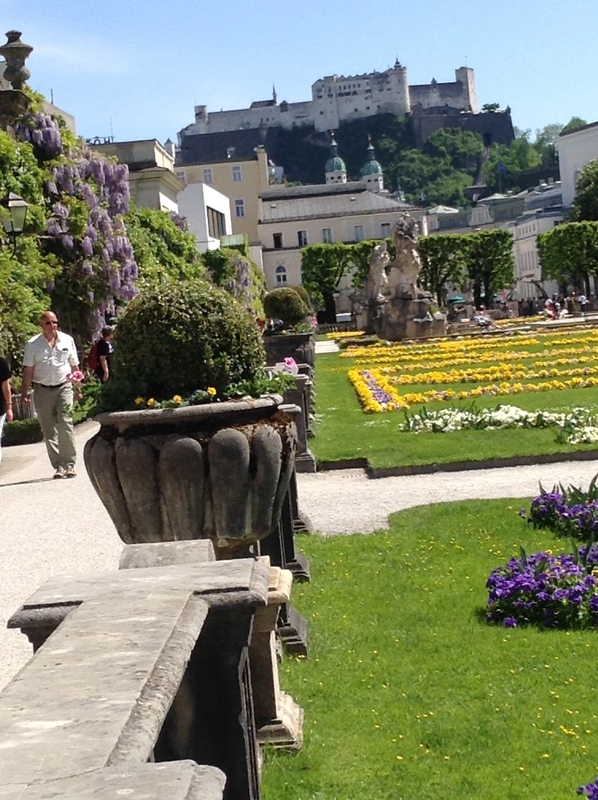 Salzburg is considered one of the most beautiful places in Austria and was recently included in the official list of 100 places to visit before you die. 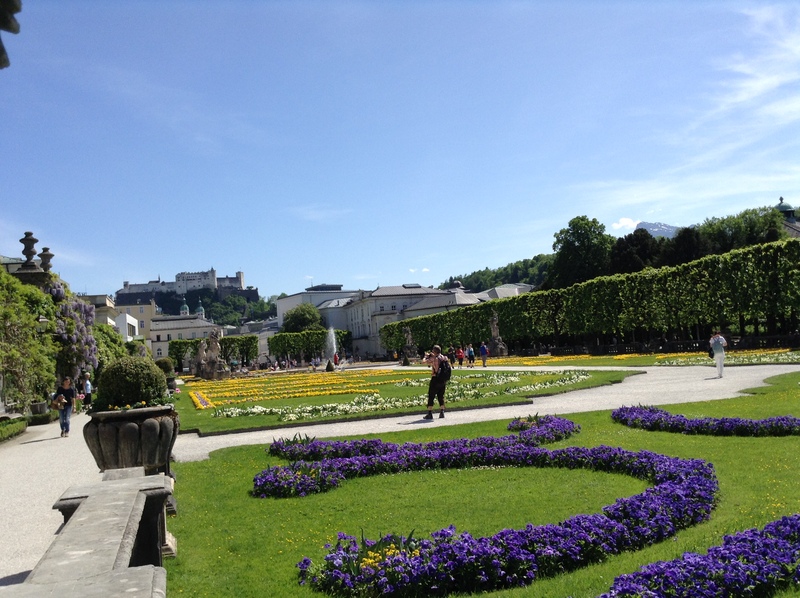 We went on a walking tour of the old historical part of the city, including the magnificent Mirabell Gardens from which there is a magnificent view of the great Hohensalzburg Fortress. 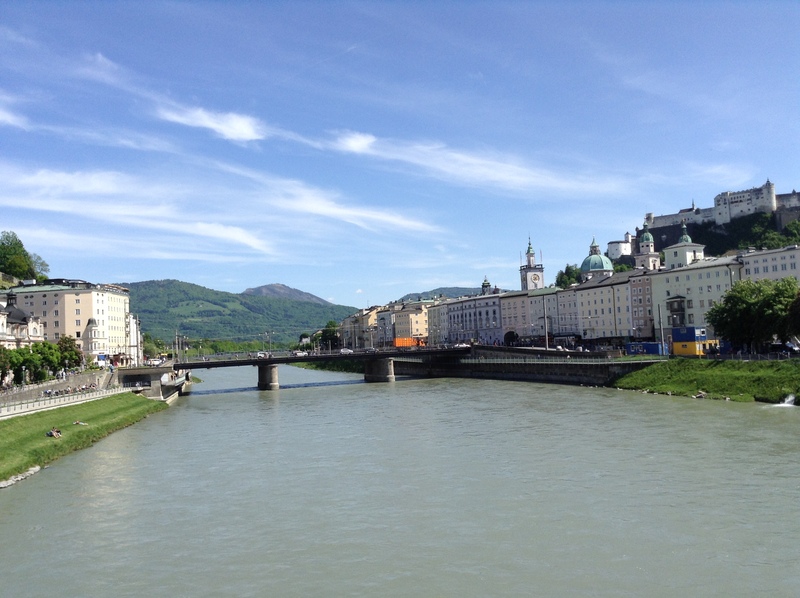 Crossing the famous Salzach River over one of Salzburg’s beautiful bridges, we walked the bustling streets to Mozart’s birthplace. 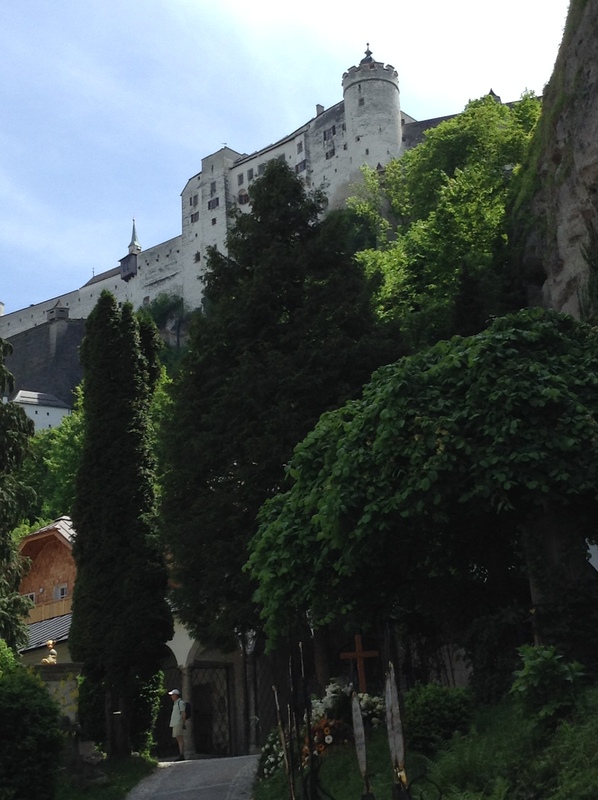 While everyone was enjoying lunch and some free time, I snuck out and went on one of my typical long hikes to the other side of town to find the one small Shul that still exists for the very small Jewish community that is left in Salzburg. 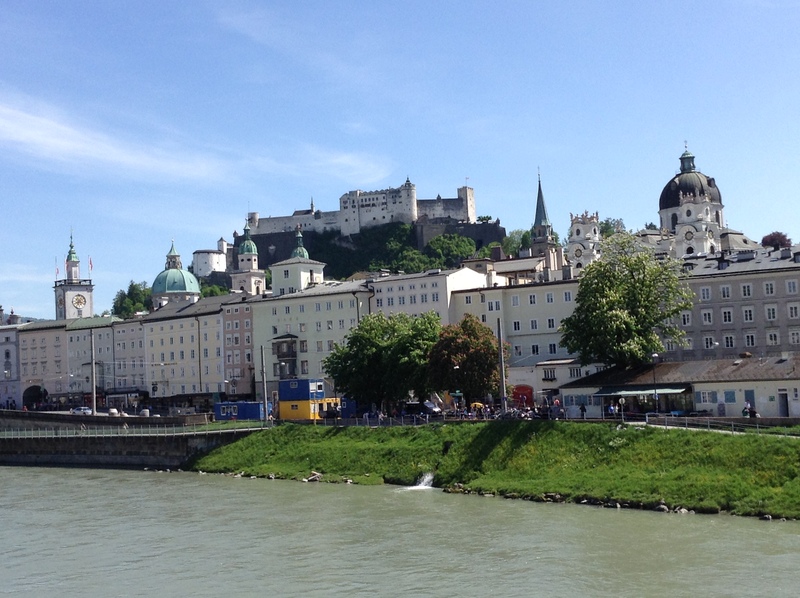 It was about a half hour brisk walk but well worth it, because as I mentioned elsewhere in this blog, I do not visit Europe unless I find something Jewish to do there. 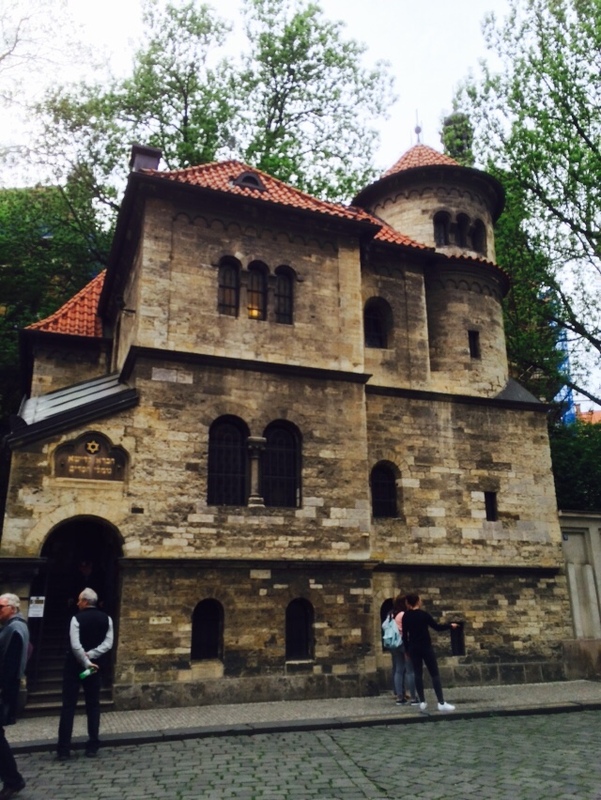 The Shul is a reconstruction of the modest Shul that existed there before the War when it was destroyed. 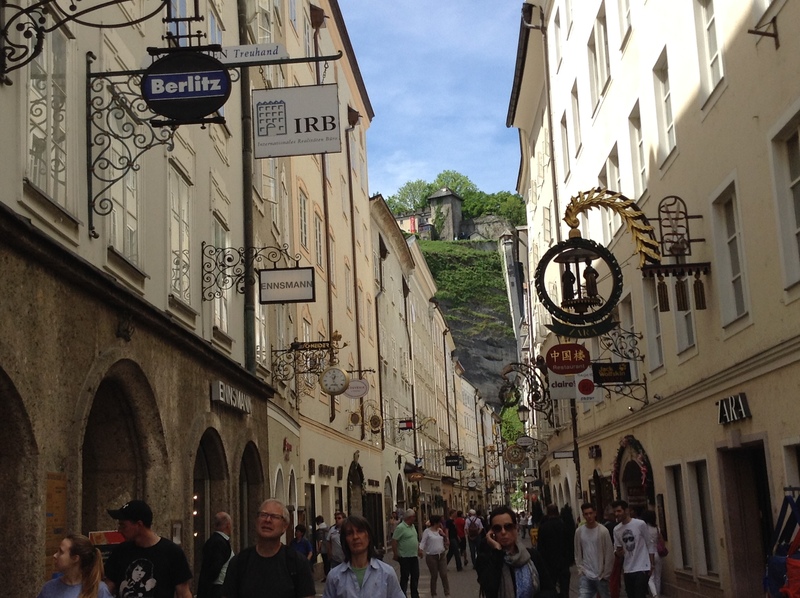 Although Salzburg never had a big Jewish community like Vienna, Budapest, and some of the other places we visited, I should point out that while hiking the narrow streets of the old town to Mozart’s birthplace, we passed Judengasse where the original Jewish ghetto once existed. 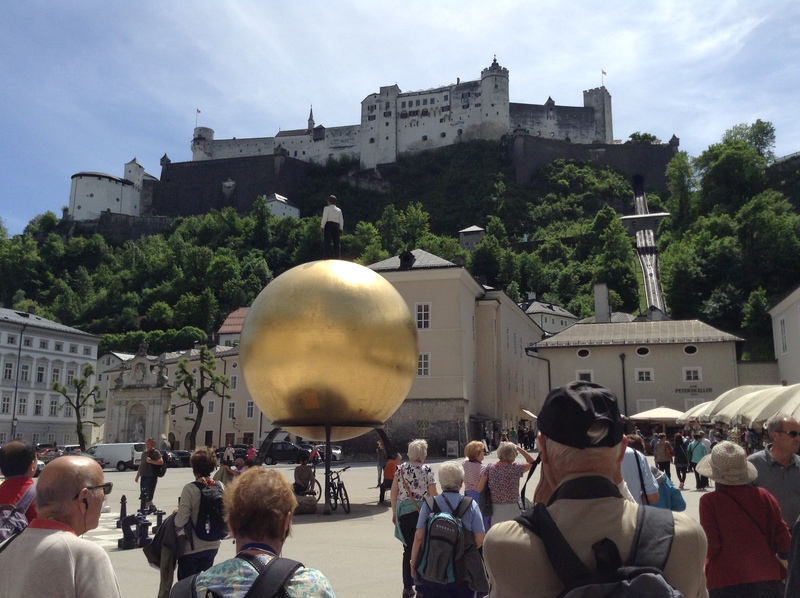 For those who have an interest in Hollywood, no visit to Salzburg is complete without seeing some of the sites associated with the movie The Sound of Music. 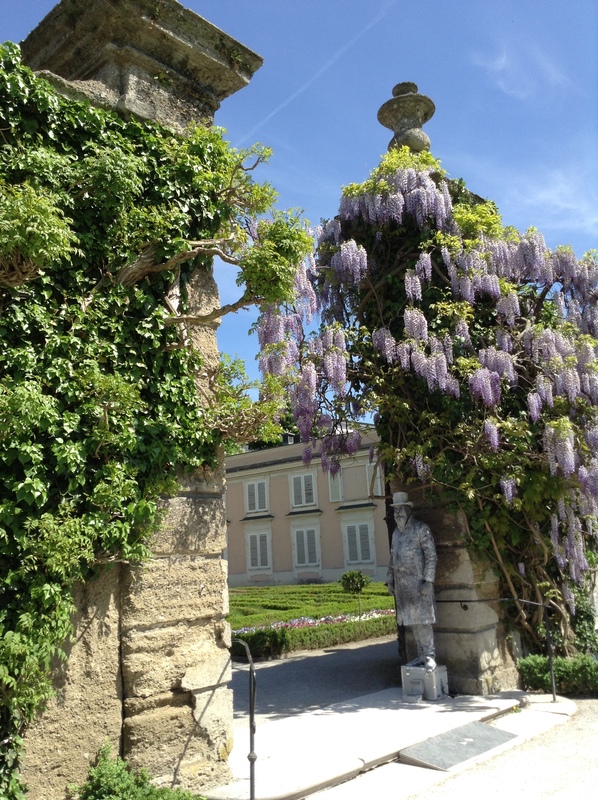 While we did not have time to see most of them, we did see the Pavilion in Hellbrunn where Von Trapp proposed to Maria. Budapest the capital of Hungary is also one of the great Jewish communities of Jewish history. Today, the Jewish community numbers close to 100,000 despite the events of World War II and is one of the largest in Europe. Arriving on boat by the Denube, everyone gathered on the open upper deck of the boat to zoom in on taking photos of the magnificent parliament building, perhaps the most significant architectural landmark of Budapest, visible from miles away. As we went on a bus tour of some of the best sites of Budapest, we passed the beautiful Opera House, and I resolved to return as soon as I had free time to try to take a tour, and not to make the same mistake as happened in Vienna, where by the time I got to Vienna’s famous Opera House, I missed the last tour. Free time is often spent spontaneously as one tries to find your way around, often winging it, hiking, or grabbing public transportation of taxies, whatever works. I returned to the parliament to try to take a tour, but it was closed for a NATO conference, and security barred my entry. On Friday night, I invited members of our group to join me for services at Budapest’s Great Synagogue known as the Dohany Street Synagogue. It is the largest in Europe, and the second largest in the world. Its two onion domes are a landmark of Budapest, visible from far away. 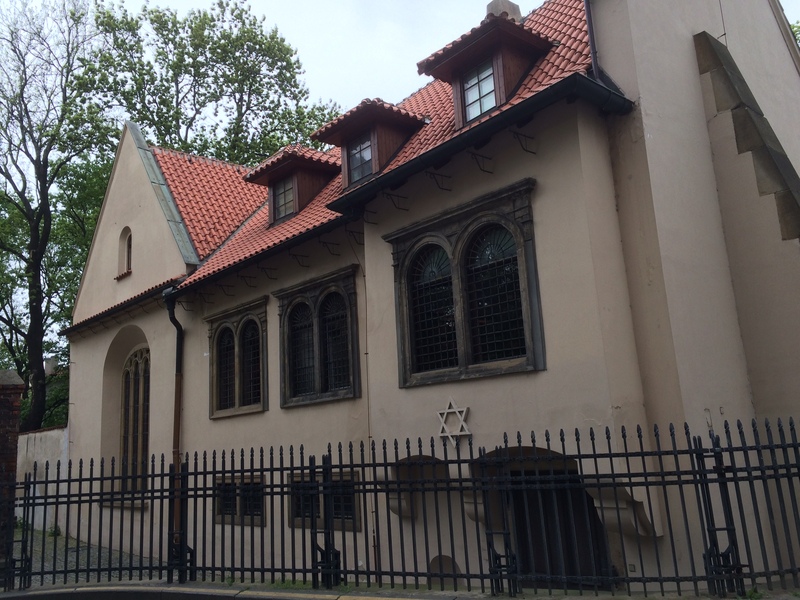 For those who like synagogues, visiting this Shul is an experience like no other. 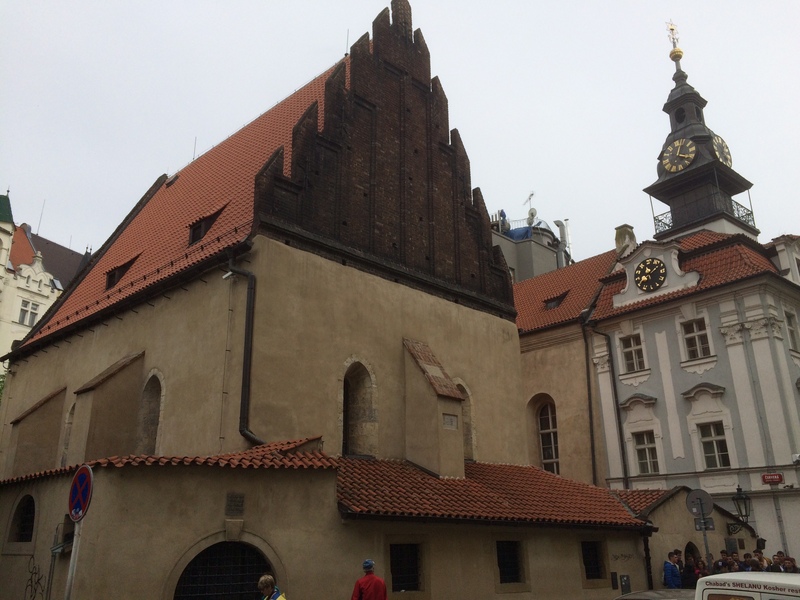 For those who have visited great churches and cathedrals around the world, you might say that this Synagogue is Cathedral-like. While Judaism has many significant synagogue structures, there are few of this grandeur or majesty. 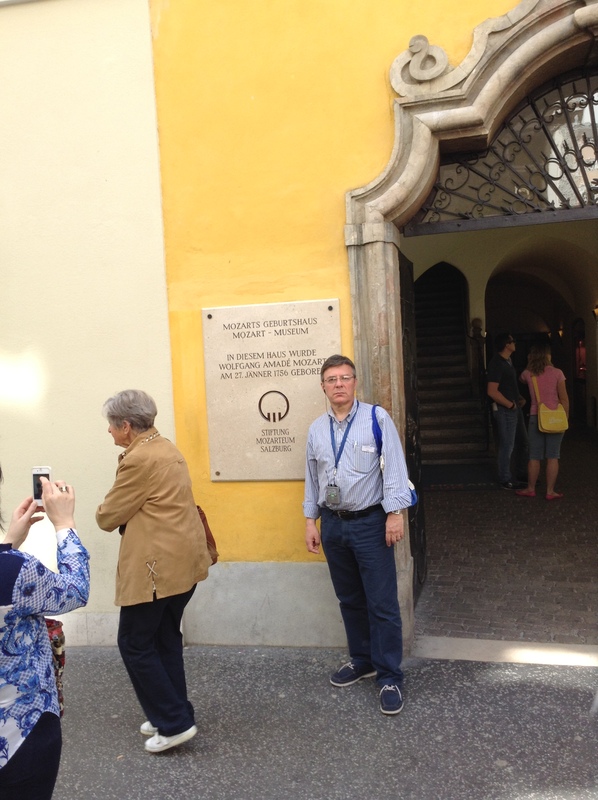 I have been privileged to visit synagogues in St. Petersburg, Russia, and Florence, Italy, which are compatible in majesty, but this one is much larger. For example, there are two balconies for women, so that it accommodates almost as many women as men. Most of the year, they do not use it because it is too big. They use the smaller but still beautiful Hereos Temple, on the grounds right next to it. I was gratified to notice that included in the plethora or tourist memorabilia that one sees all over Budapest, anything architectural- including great buildings of Budapest, also depicts the Great Synagogue amongst Budapest’s other great buildings like the Opera House, St. Stephen’s Basilica, many Art Nouveau buildings. Members of our group were exhausted, as we were nearing the end of our tour, and they were worried that by the time we returned from services, dinner would be over. So I went alone, and I am thrilled that I did. 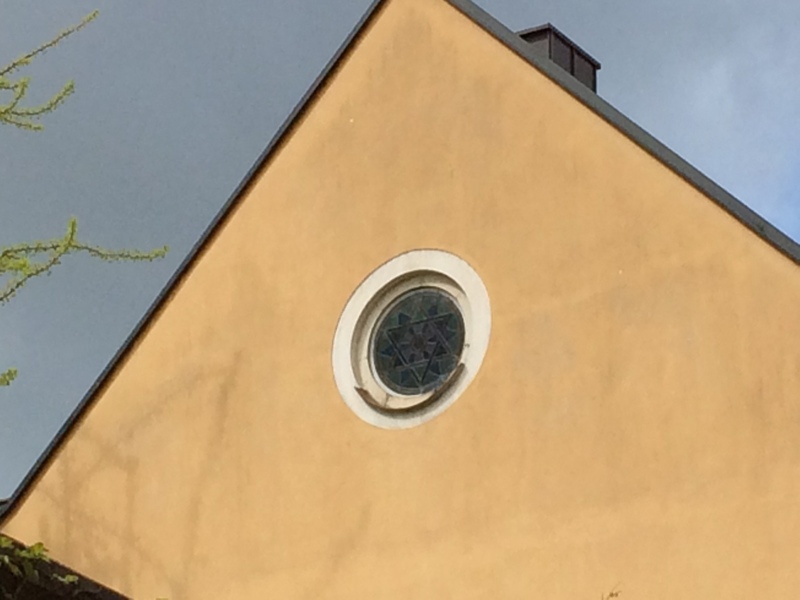 The synagogue is neither Orthodox nor Conservative nor Reform, it is a unique Hungarian variation called Neolog. It is somewhere between Conservative and Orthodox- men and women are separated but there is no partition (the balconies are only used when there are very large crowds); only men sing in the choir, and an organ is used on Shabbat and holidays, but it is played by a non-Jew. There were only about 75 people there on Friday night, in a sanctuary that seats over 3,000. Sitting across the aisle from me was a lovely, attractive young French Jewish lady from Paris. I noticed she was crying, I asked her if I could help. She told me she was there to say Kaddish for her father, whose Yahrzeit it was. She had recently lost her husband, and I felt badly that I could invite her to join us for Friday night dinner on the boat, so that she would not have to be alone on Shabbat. One cannot bring guests onto the boat as the boat was full. This lady was a senator in the European Parliament. 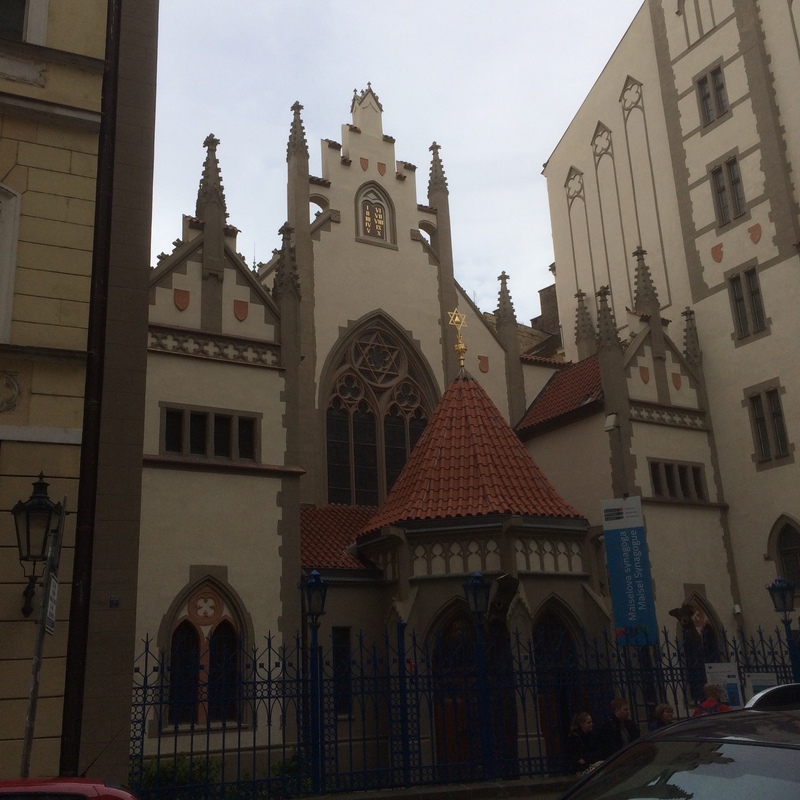 I asked someone why there was such a small crowd, and they answered that there are over 20 active synagogues all over Budapest, and people have many choices where to attend services. Some prefer smaller, more intimate places. The service was very traditional with many familiar melodies. As in several other European countries, the Nusach (traditional melody motifs) included more major keys than East-European synagogues use under the influence of central-European synagogues (German, Austrian, etc.). Having grown up Orthodox, I thought the grand organ would bother me and be church-like; but frankly, it fit in and blended with the cantor and the choir. 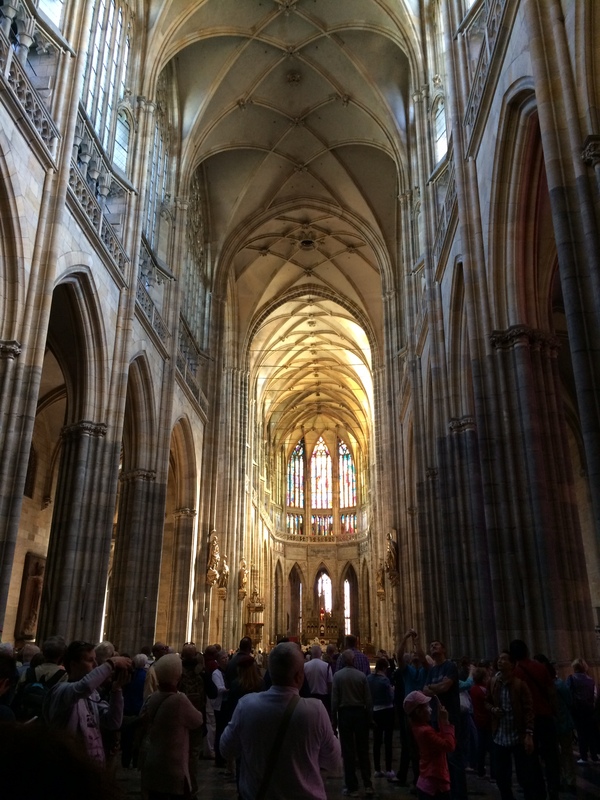 The combination of the organ, the acoustics, and the placement of the choir above the arch, below the curved ceiling, compounded together to make the choir sound like there were at least thirty voices. In actuality, there probably were ten or less singers. 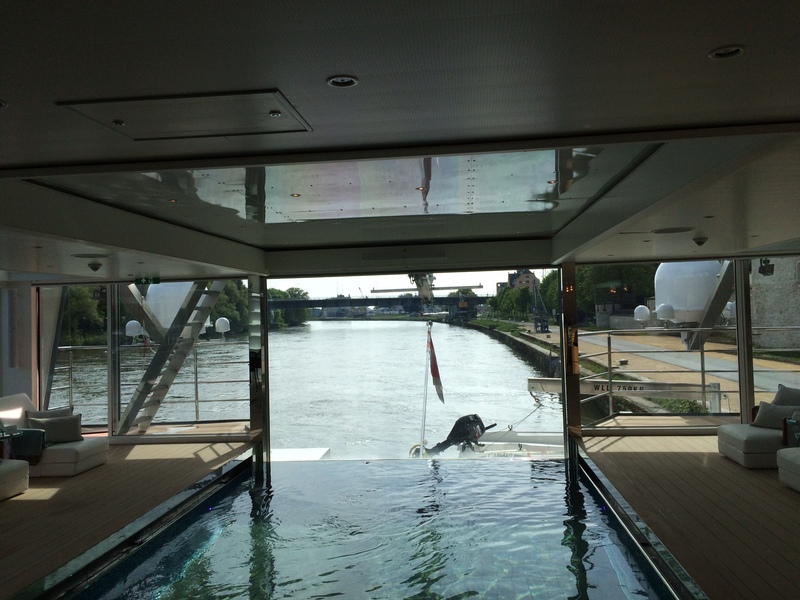 I left before Kiddush to get back the the boat in time for dinner, but pledged to return for Shabbat morning. At dinner, I regaled members of our group with stories of this most unique experience I would not want to miss for anything. I teased Jerry Russell who is our Synagogue Gabbi, that I had signed him up to be Gabbi next morning, and that he needed to be fit, because traversing the 3,000 seat sanctuary to hand out honors on Shabbat morning, would probably cause him to cover a mile or two in so doing. We still joke about this. On Shabbat morning, there were about 50 people present. It was somewhat depressing. I am not sure why they use this building when such a small crowd gets obviously lost. The service was similar to Friday night, very traditional, some familiar melodies etc. Again I did not stay for Kiddush as much as I wanted to, as I had to many places I wanted to go on my agenda, and since it was Shabbat, I preferred to walk. The rest of that afternoon, which was free time for our group, I walked many miles following my map and saw fascinating places such as the Opera House, Gresham Palace, which is now the Four Seasons Hotel, with its magnificent lobby and stunning wroth-iron and stain-glass decorations and ceiling, and the amazing Museum of Applied Arts designed by the architect Lechner, the founder of Hungarian Art Nouveau. In our hotel lobby, I noticed amongst tourist brochures that there was an interesting concert taking place in a palatial theatre. A few members of our group immediately signed up, and we were treated to a fabulous concert by the Danube Symphony, including a special instrument called a Cimbalom. It looks a bit like a console panel, with exposed strings like a harp, played with drum sticks covered with what looked like hair or string. The concert was a real treat. 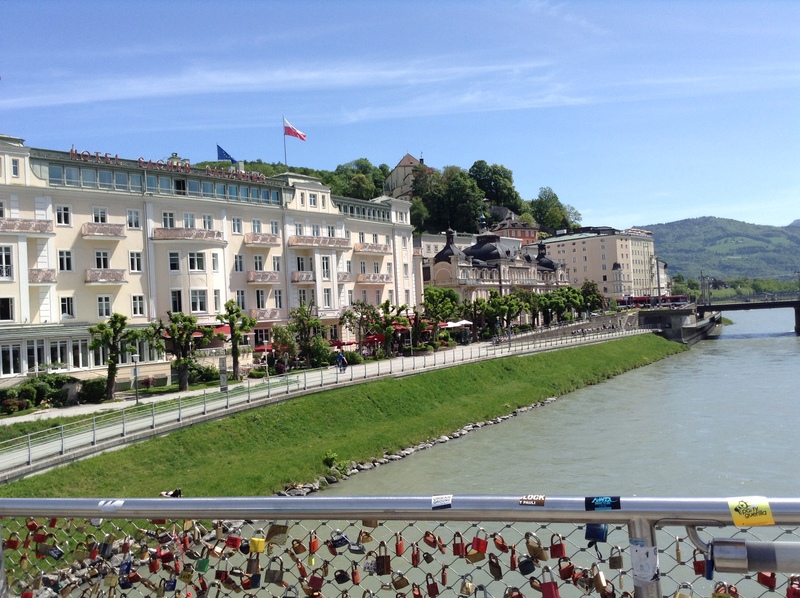 The orchestra was surprisingly large, maybe 40-50 players, including music associated with the area with composers like Berlioz, Bartok, Haydn, Lehar, Liszt, Kodaly, and of course Strauss. This is the first time I had seen or heard the Cimbalom. In front of the parliament is one of the most moving memorials for Jews and all people, The Shoes On The Danube Memorial. 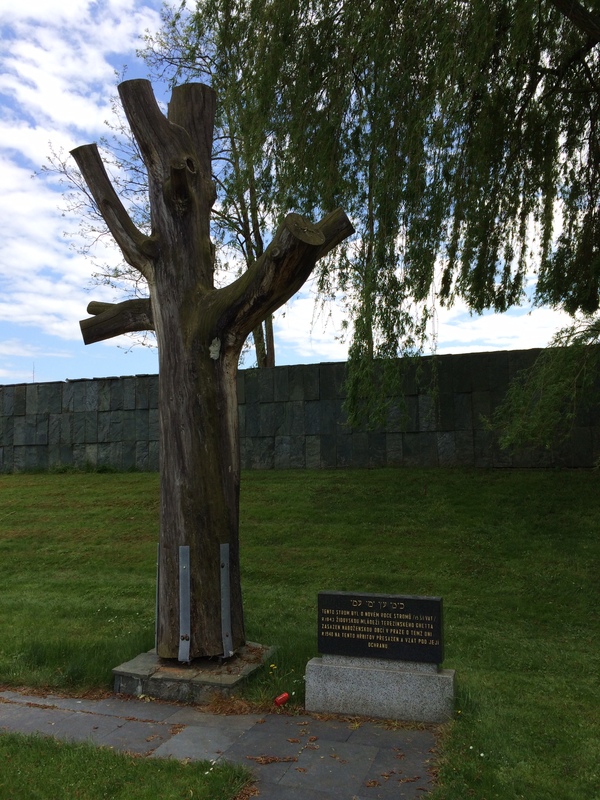 It is dedicated to the thousands of Jews who were murdered right there, fell into the bloody river and froze. There are 60 pairs of rusted shoes sculpted of iron including children’s shoes. It is jarring. It cannot be missed as it is right in front of Parliament. 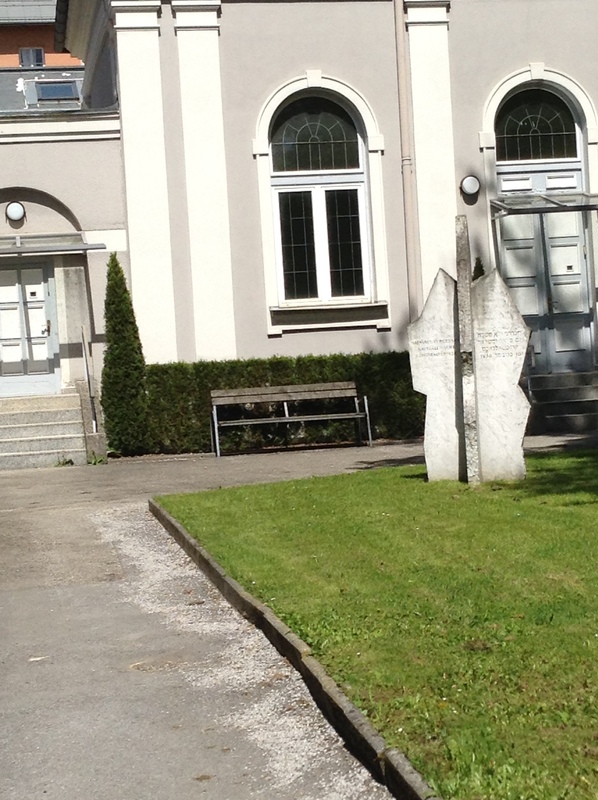 Both the Hebrew and Hungarian plaques refer only to victims and not Jews. On Sunday, we did our Jewish tour. 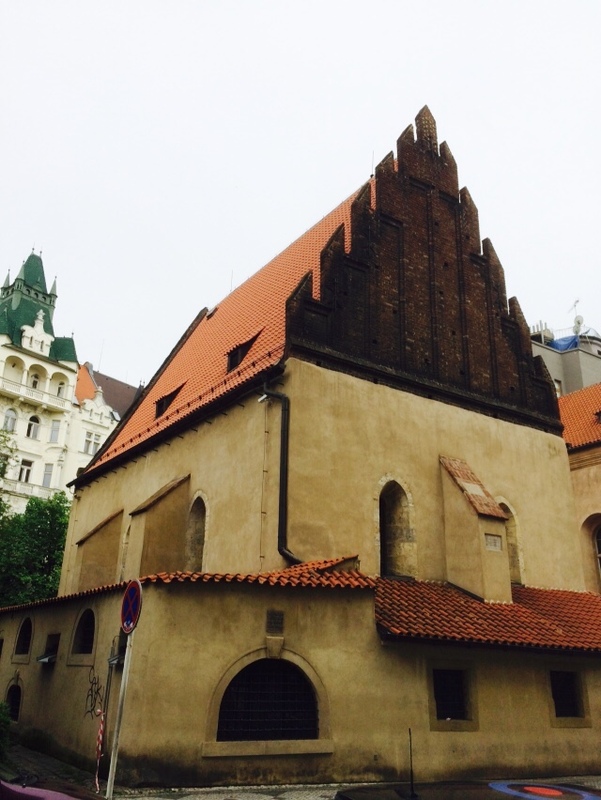 Fortunately, most sites are in one area, beginning with the Great Synagogue, the beautiful restored Orthodox Kazinczy Synagogue which was one of the first heated buildings in the world, the ducts still visible from the floor, and the Rumbach Moorish Octagonal Synagogue, which tragically is not restored and is not used as a Synagogue any more. On the grounds of the Great Synagogue are the Jewish Museum, the emotive Tree of Life, the Hereos Temple, and the Raoul Wallenberg Park, even though everything was closed together, we did a huge amount of walking and standing, and I was gratified by our group enduring this marathon as I was throughout our entire hour and entire trip, which was ambitious, extensive, and exhausting. A fitting climax and conclusion to this amazing trip was our closing Kosher dinner at the lovely Carmel Restaurant in the Jewish area. I highlight of the dinner, besides the food was a guest appearance by Karyn Posner-Mullen who is the counselor for Public Affairs at the US Embassy in Budapest. She is an avid activist on behalf of Judaism and does incredible work both as a representative of the US, and as a Jew. Her stories of being a Jew in this part of the world were riveting. I urged her if she had the inclination to come to our Synagogue as a guest speaker, and I believe this would be an amazing program if she is ever able to come. This was a highlight of an amazing two-week adventure into thousands of years of Euopean-Jewish history, and a fitting conclusion. 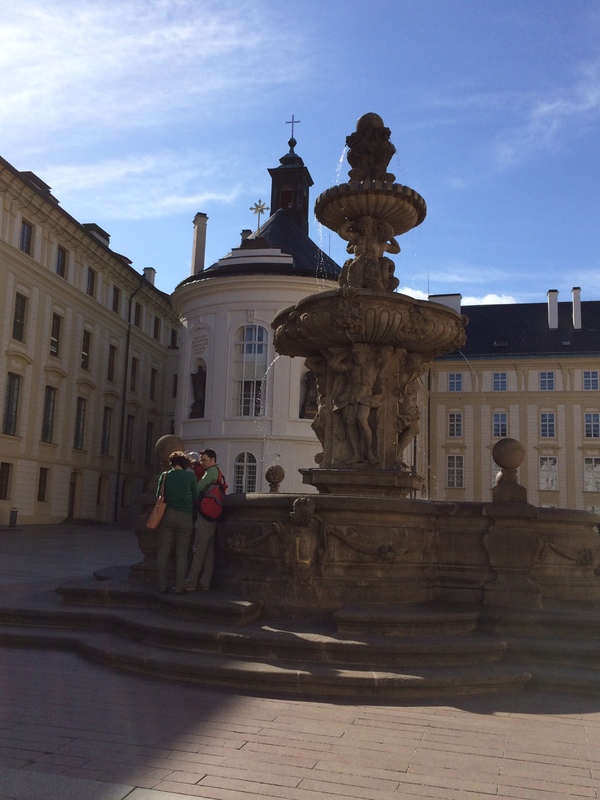 Next morning, we all returned worn-out to Toledo with stories, anecdotes, pictures, memorabilia, videos, which we hope to share at a reunion at the end of the summer of 2015. We all returned enriched and inspired by what we observed- from a Jewish perspective, the resilience of our People, who time and again have bounced back and rebuilt lives and communities in the direst circumstances as observed in the above communities.